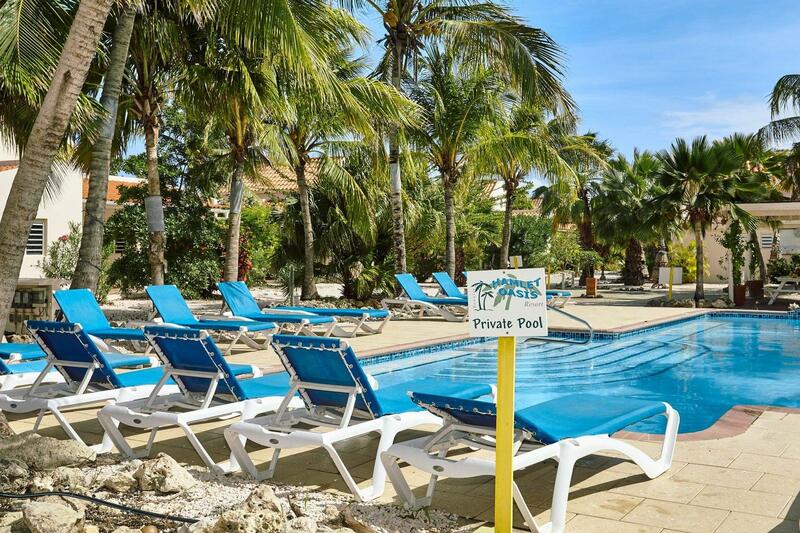 If we receive written notice (fax or e-mail) of the cancellation of your reservation up to 5 weeks prior to the scheduled arrival date you will receive a 50% refund of the rental amount and 100% of the tourist tax. 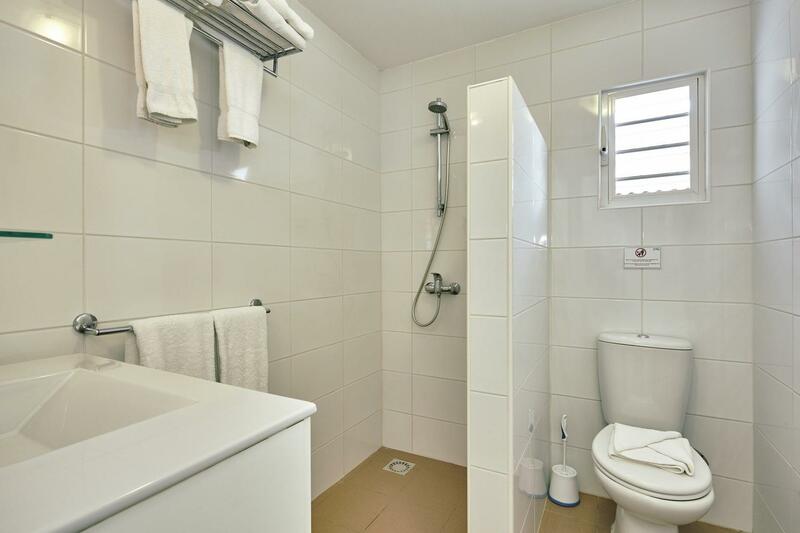 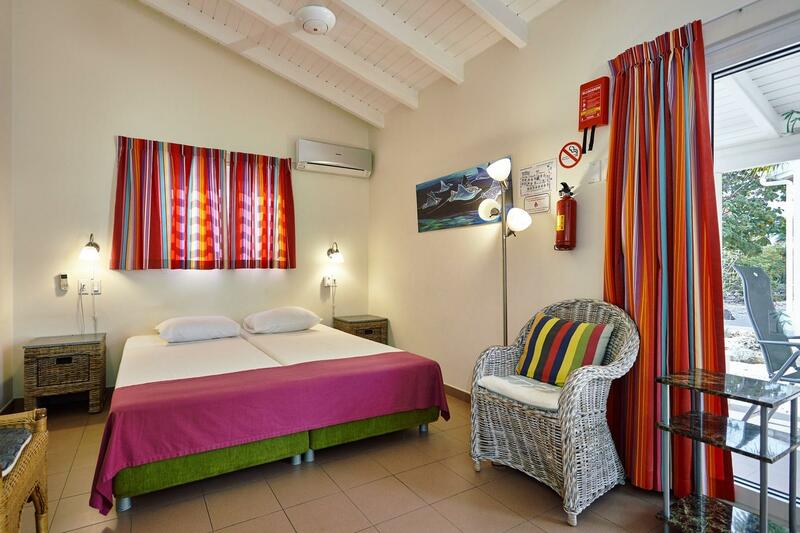 If the accommodation is then rented out to other guests for the exact period of time, 80% of the rental amount and 100% of the Tourist tax will be refunded. 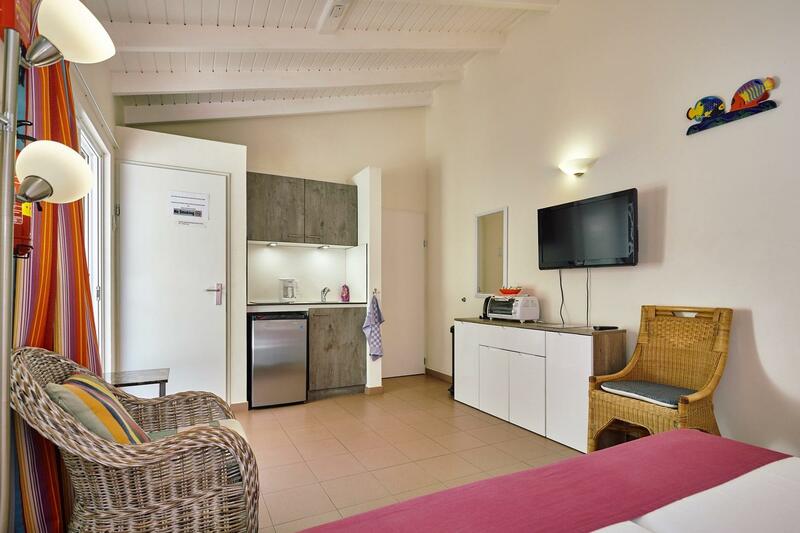 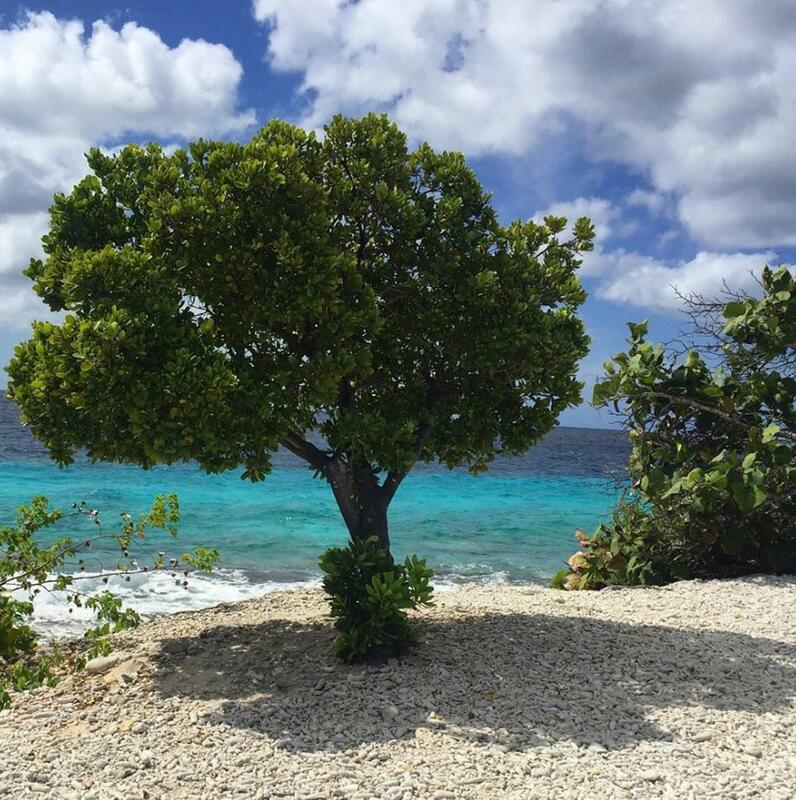 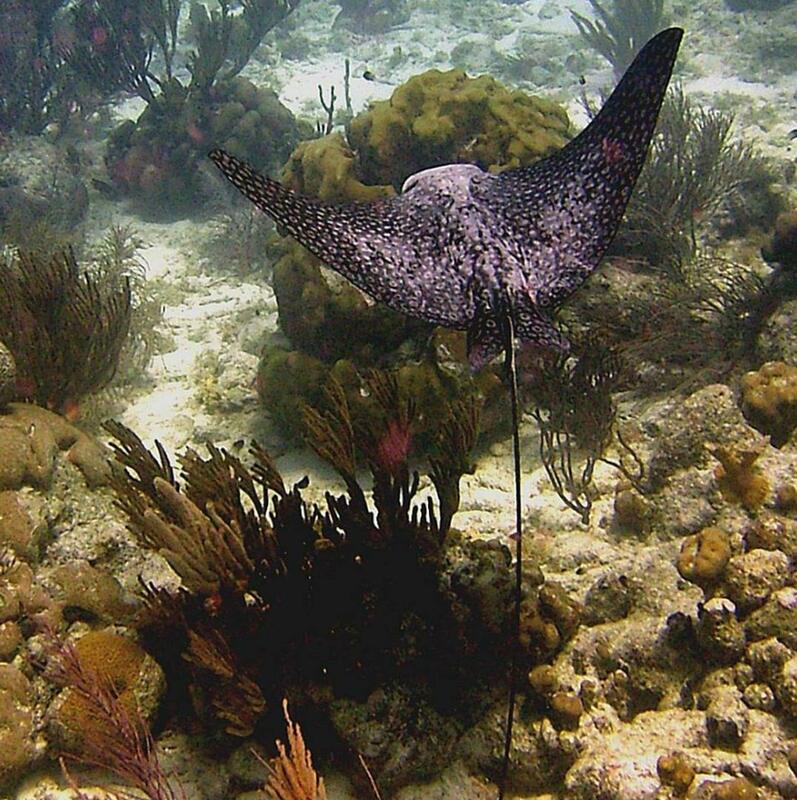 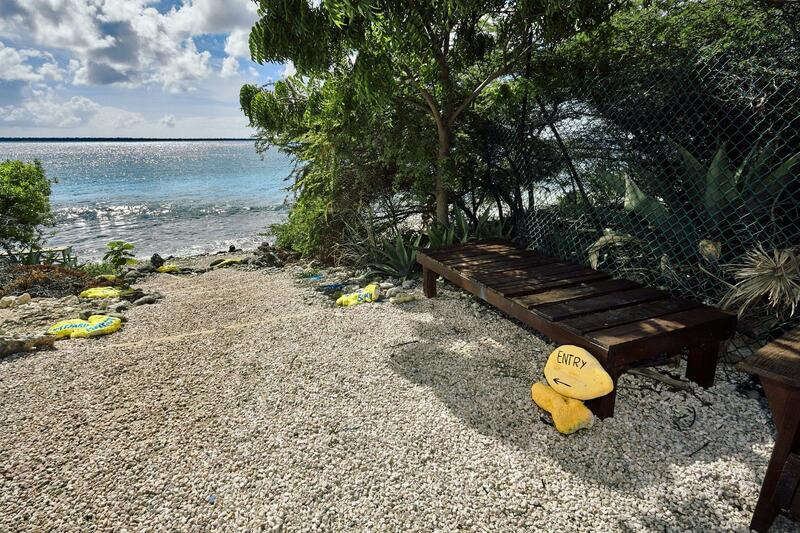 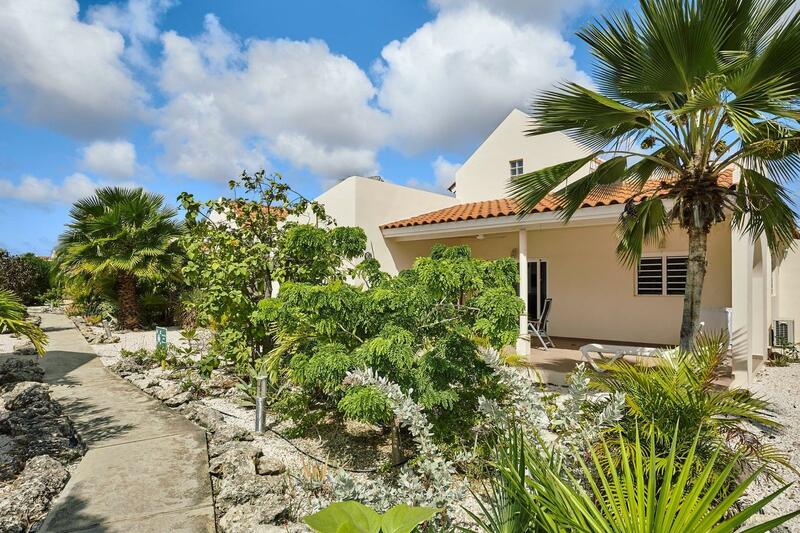 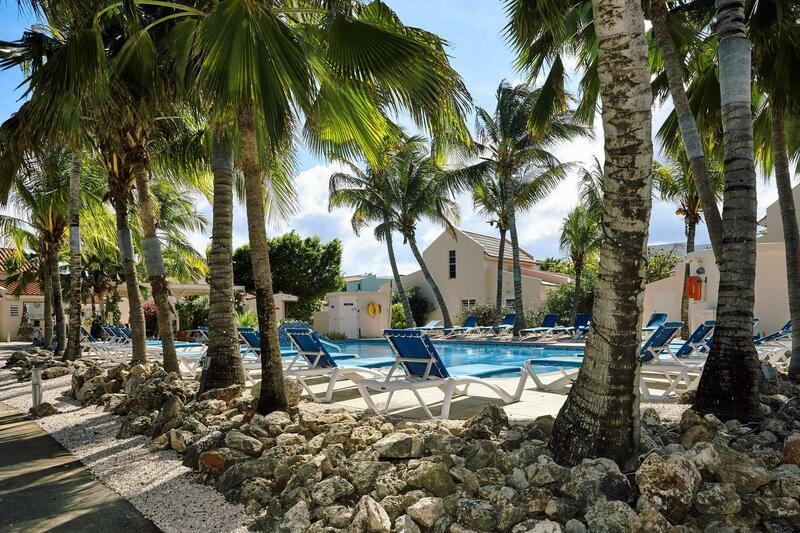 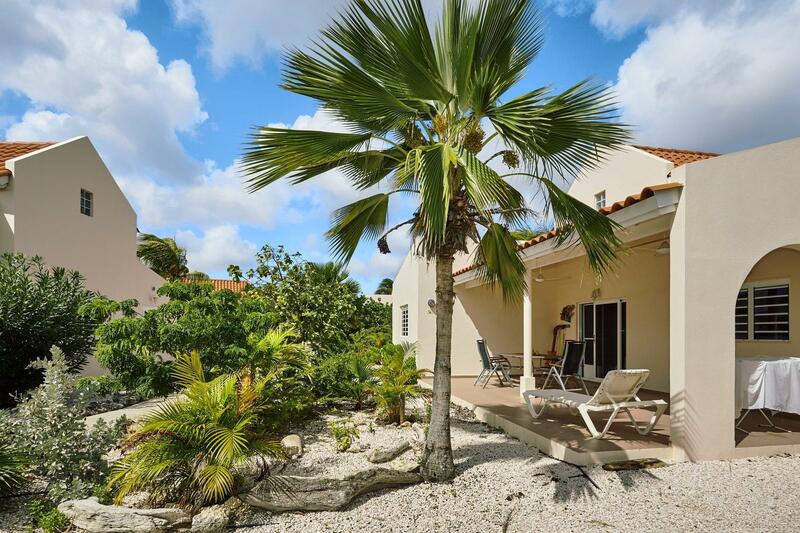 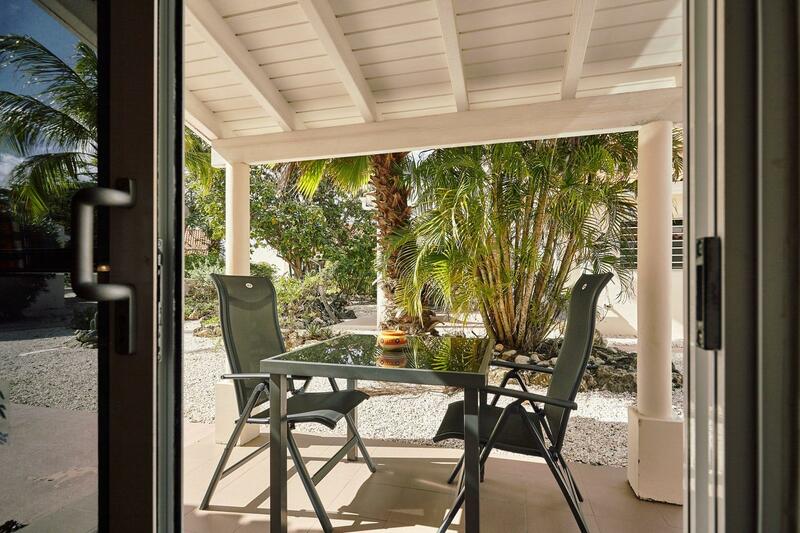 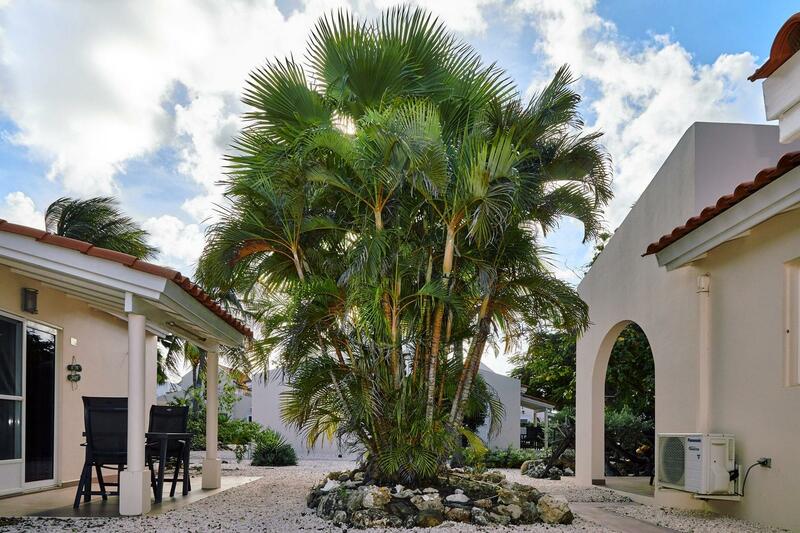 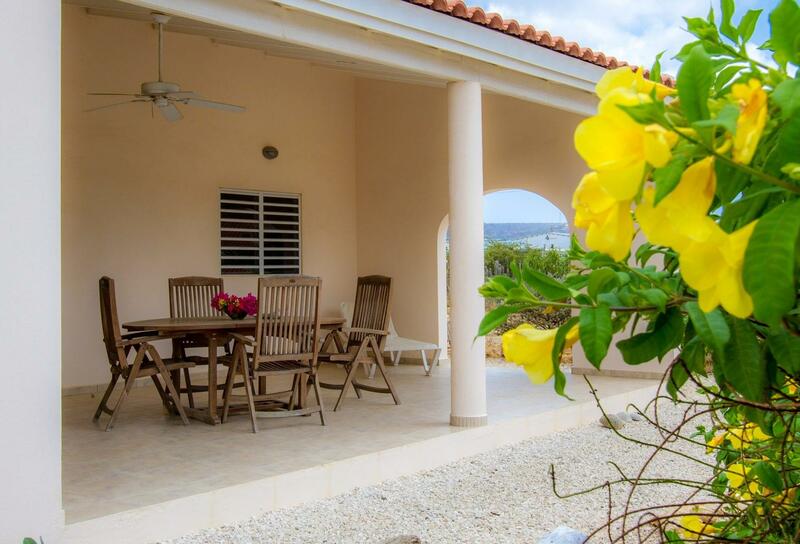 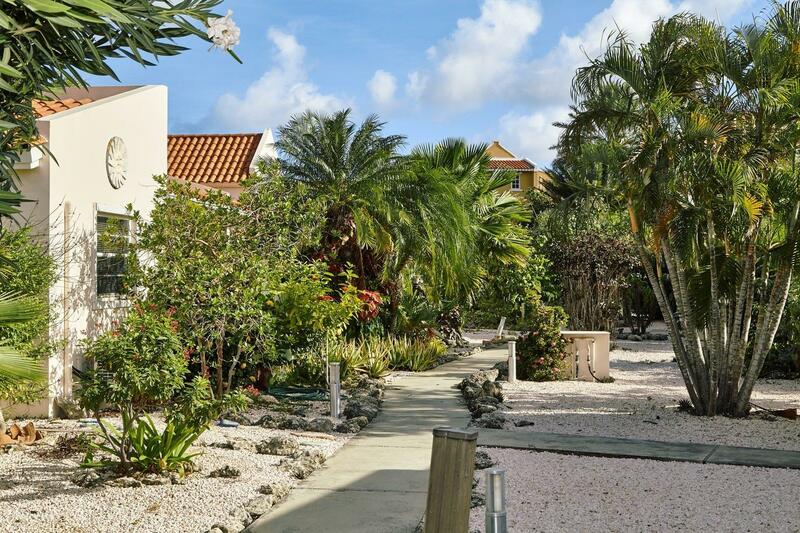 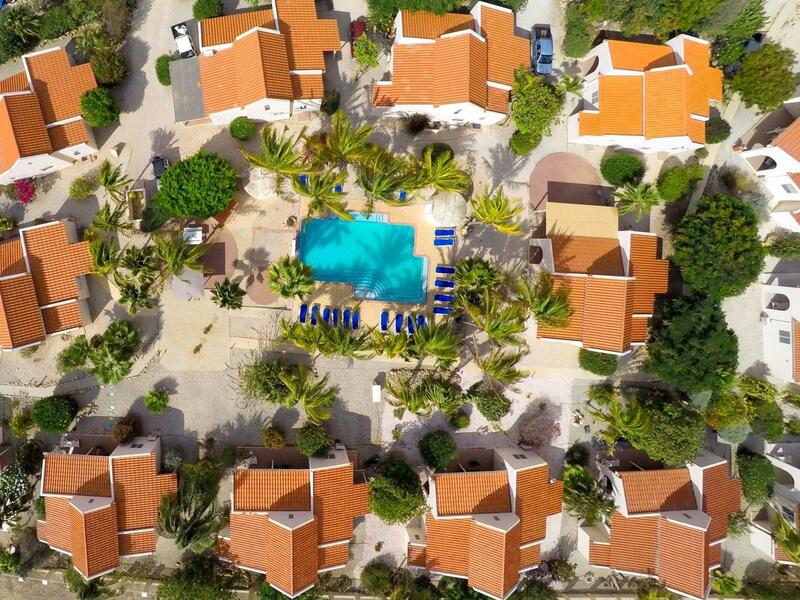 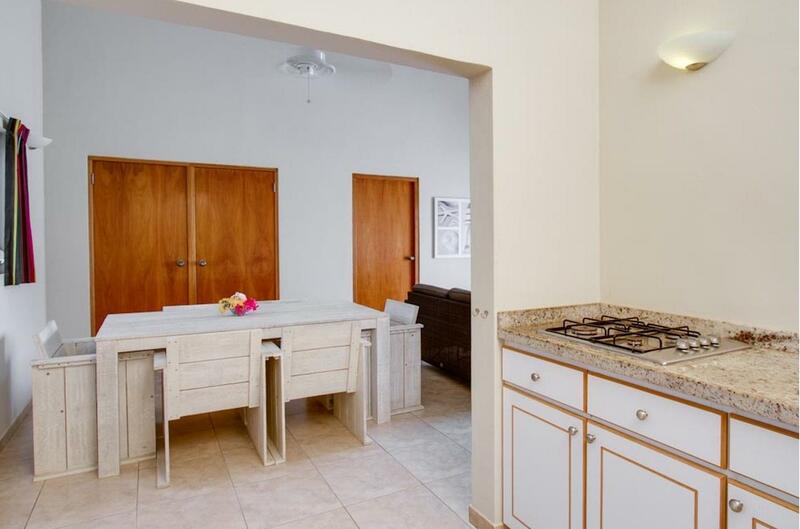 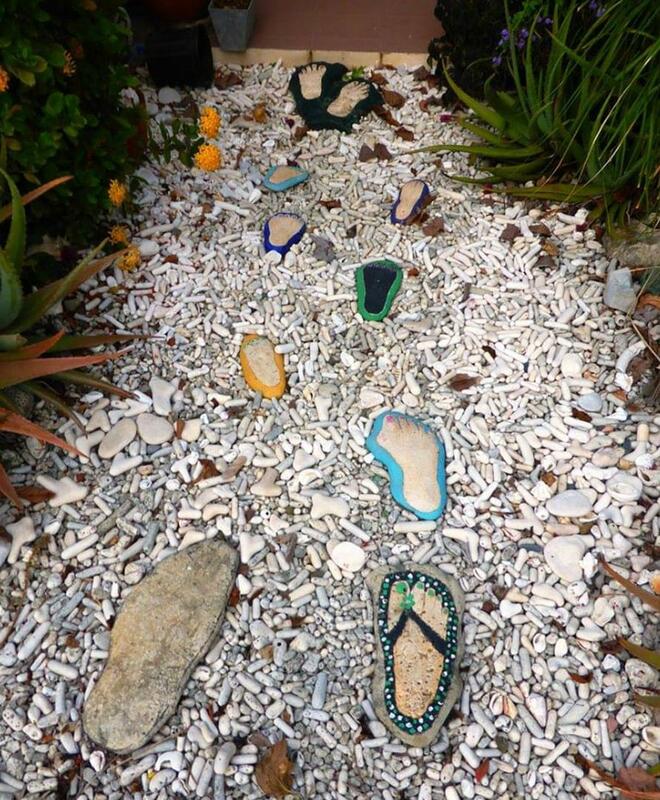 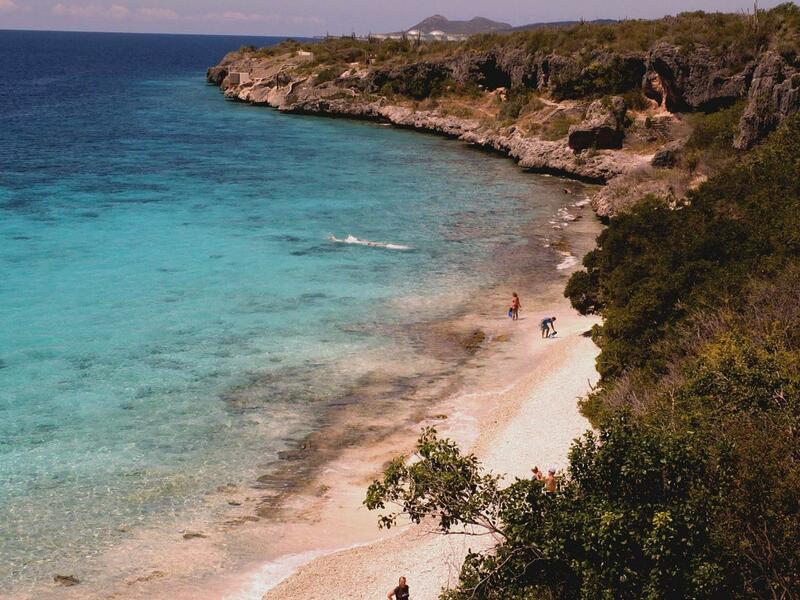 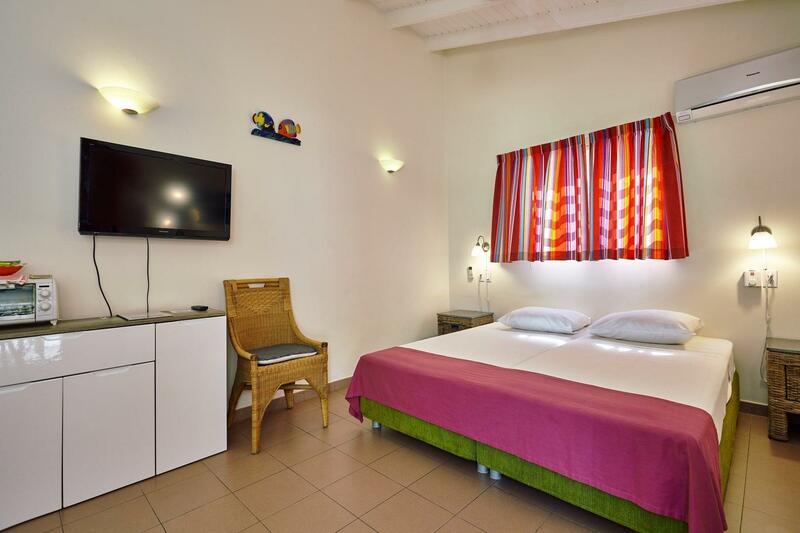 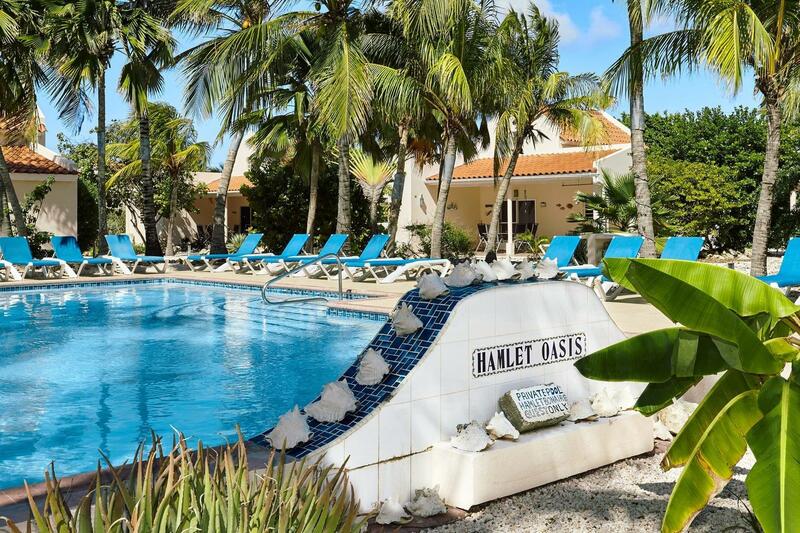 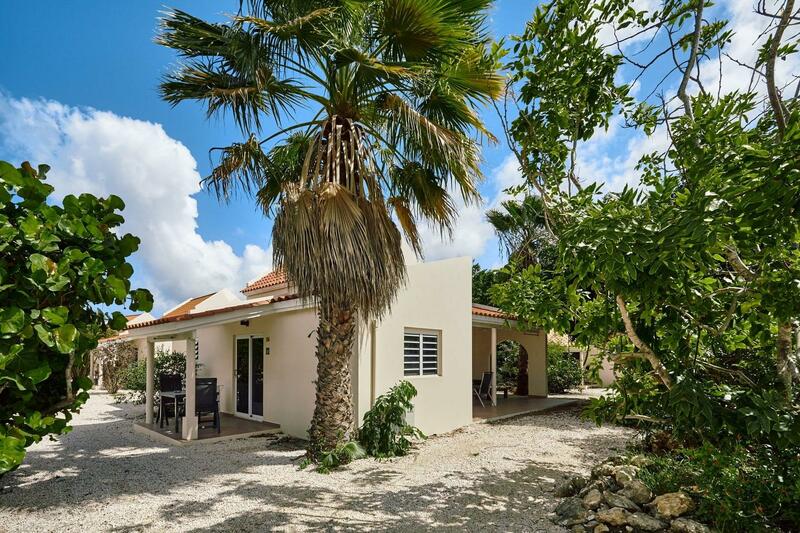 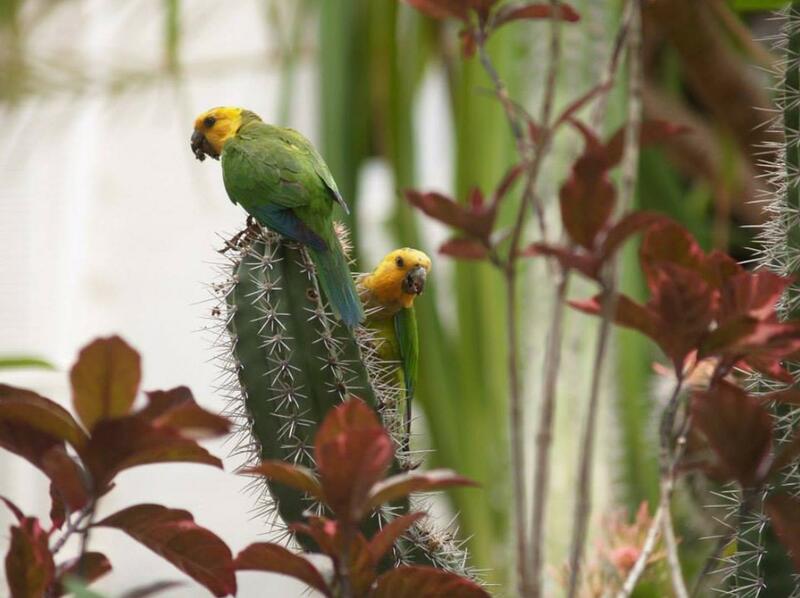 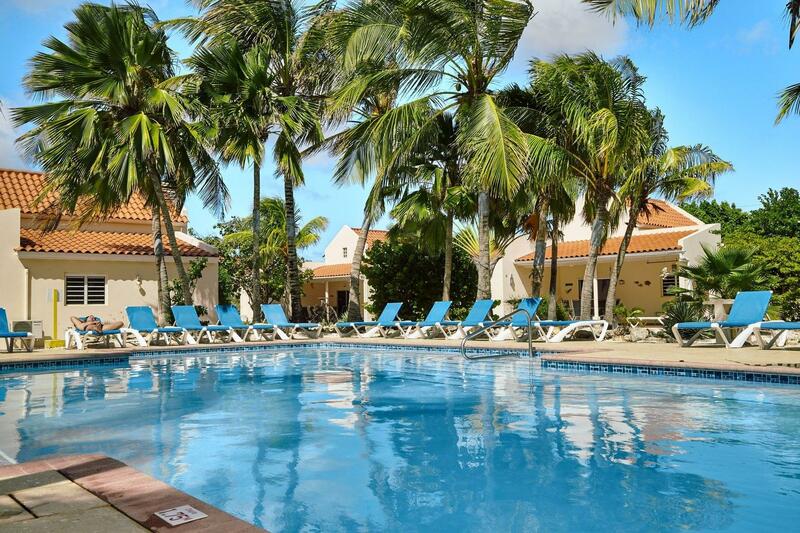 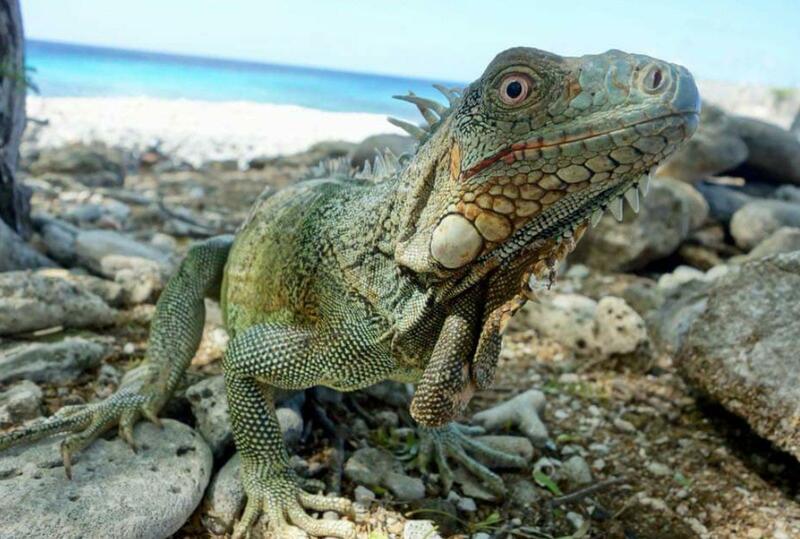 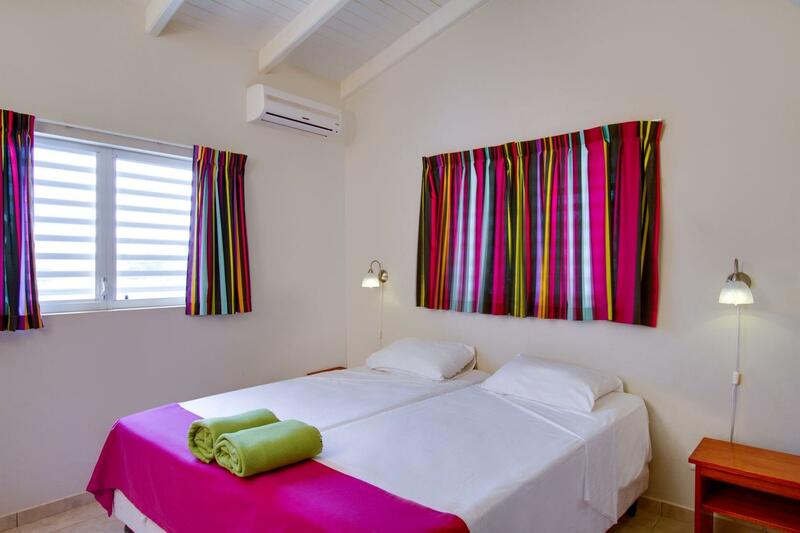 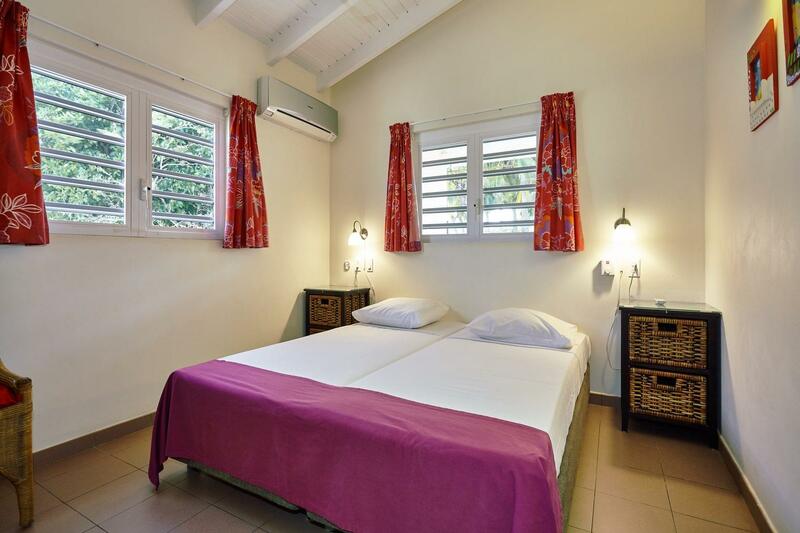 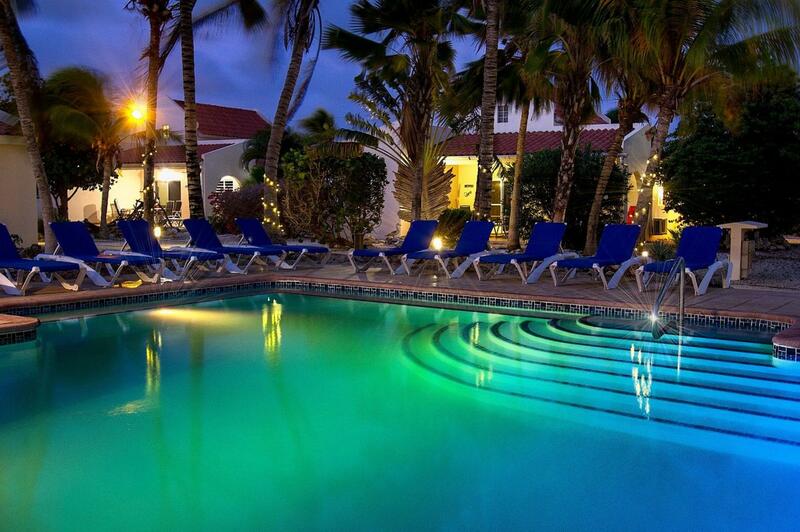 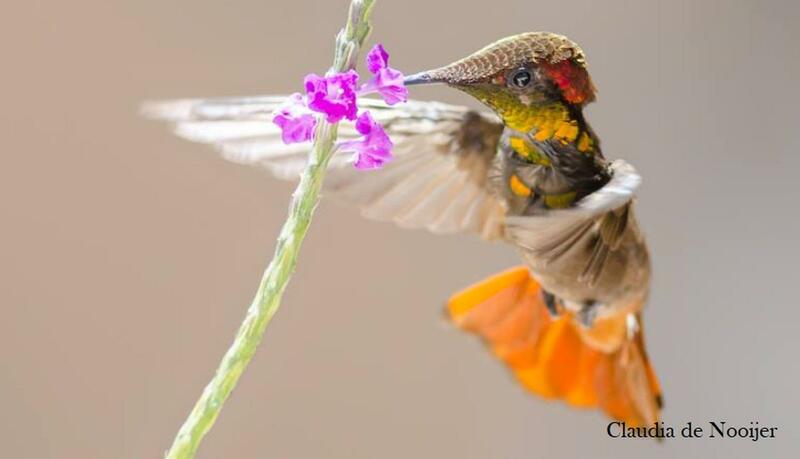 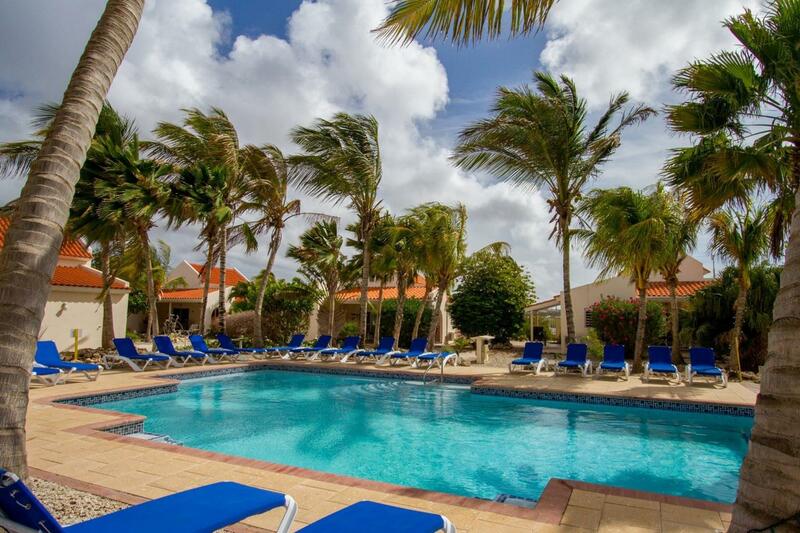 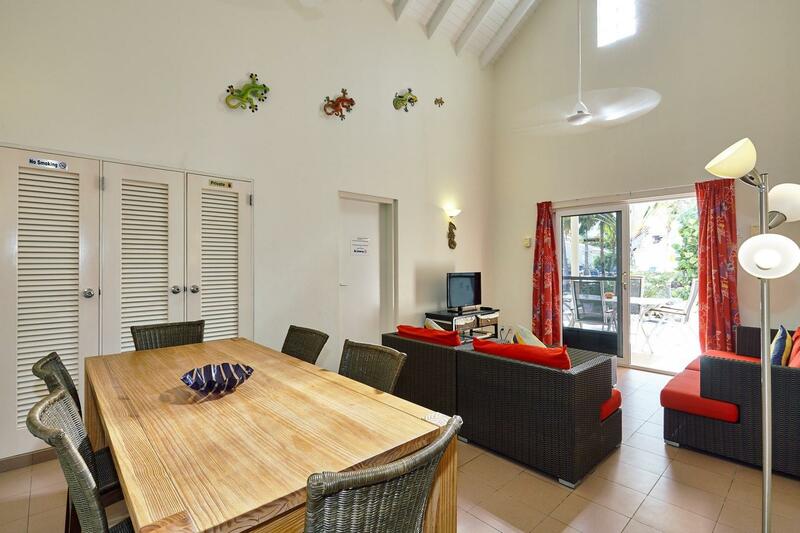 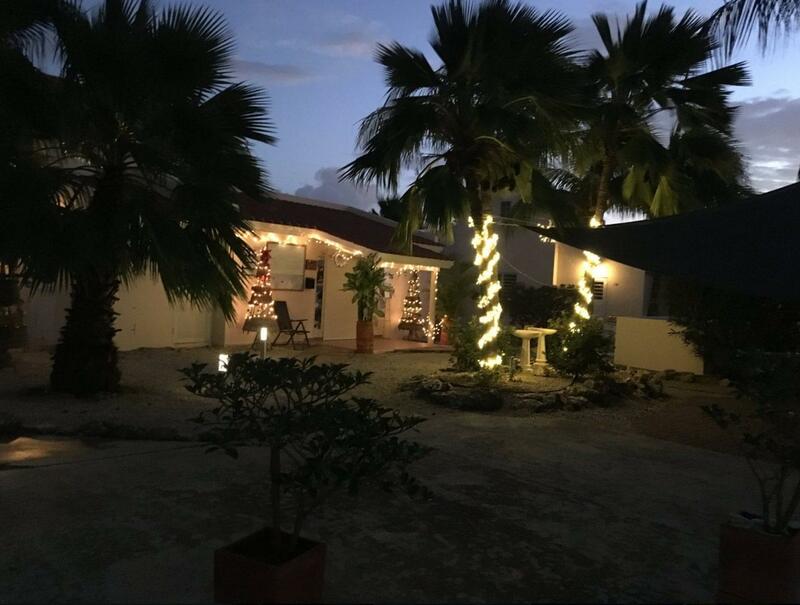 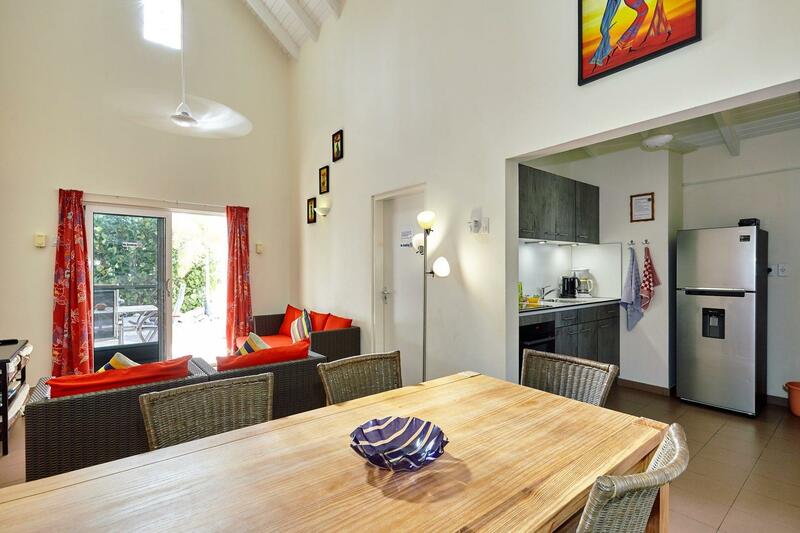 Hamlet Oasis offers 20 detached cottages, tropical gardens and easy access to Bonaire's warm, clear seas. 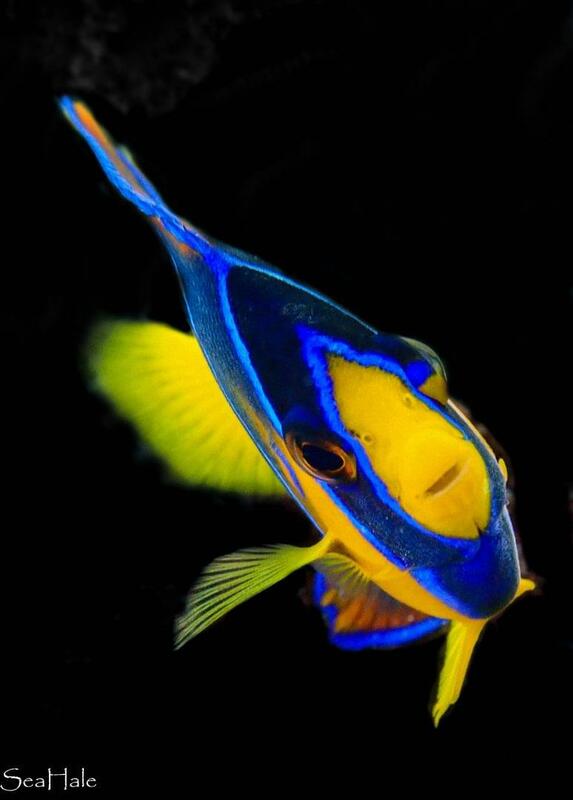 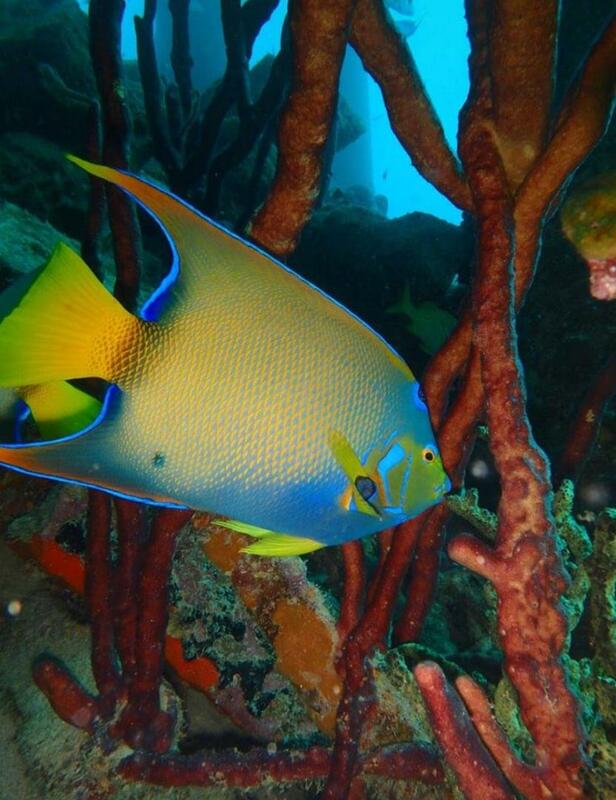 Dive into coral reefs brimming with angelfish, rainbow wrasse, parrotfish, spotted trunkfish and many other marine species. 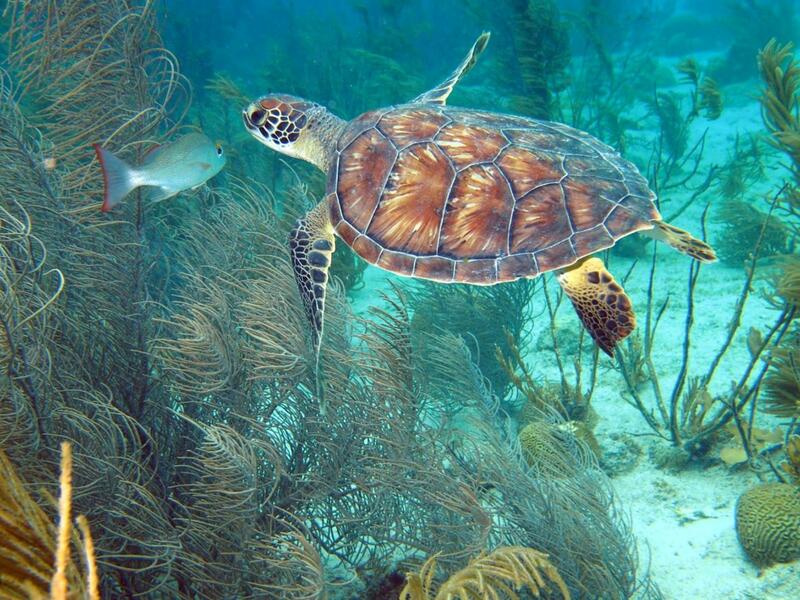 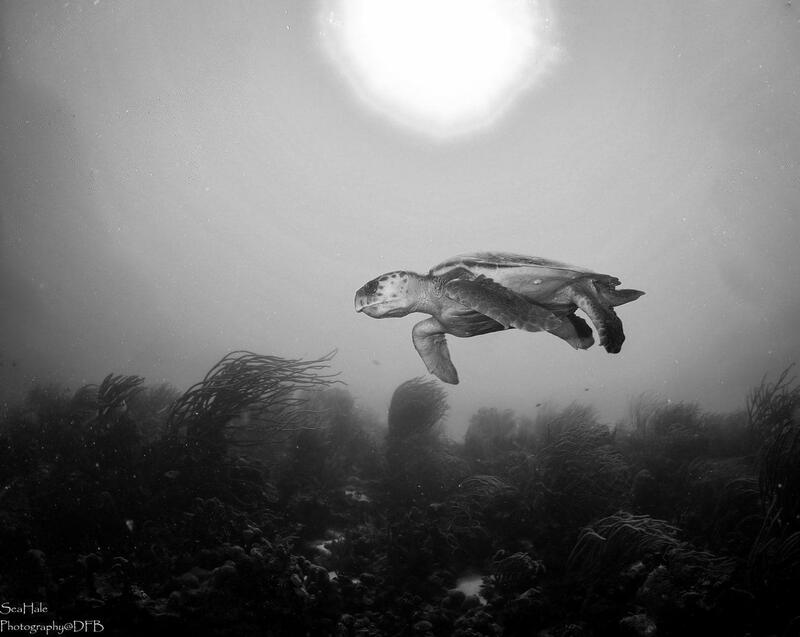 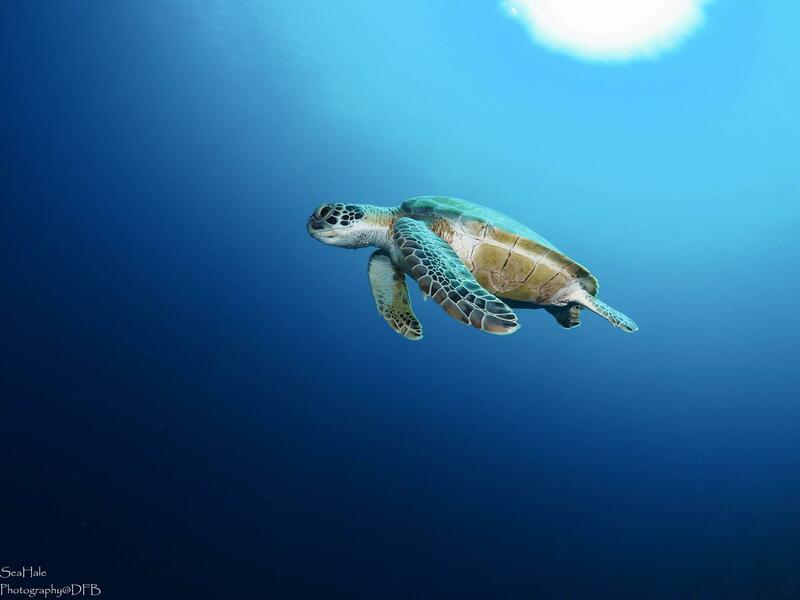 Drift, night and wreck diving is common and turtles are regularly sighted. 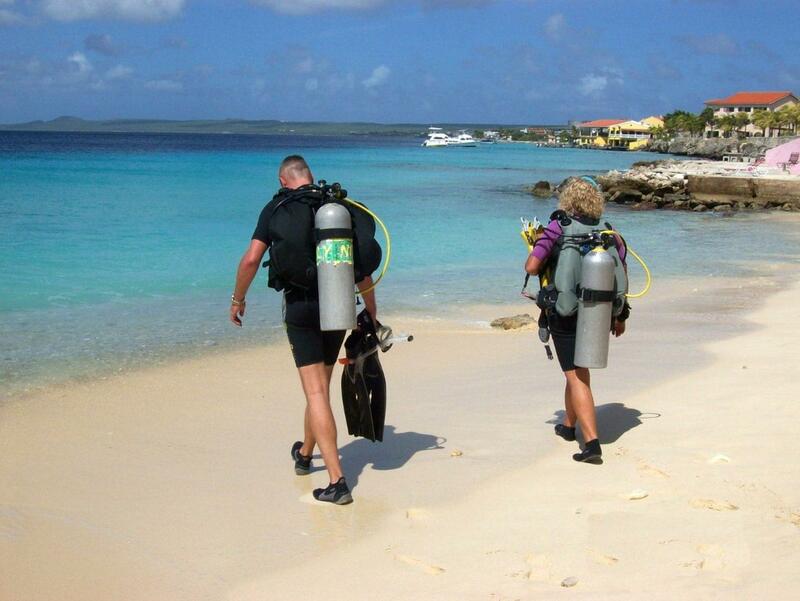 Shore diving is encouraged, with the Cliff dive site in front of the resort. 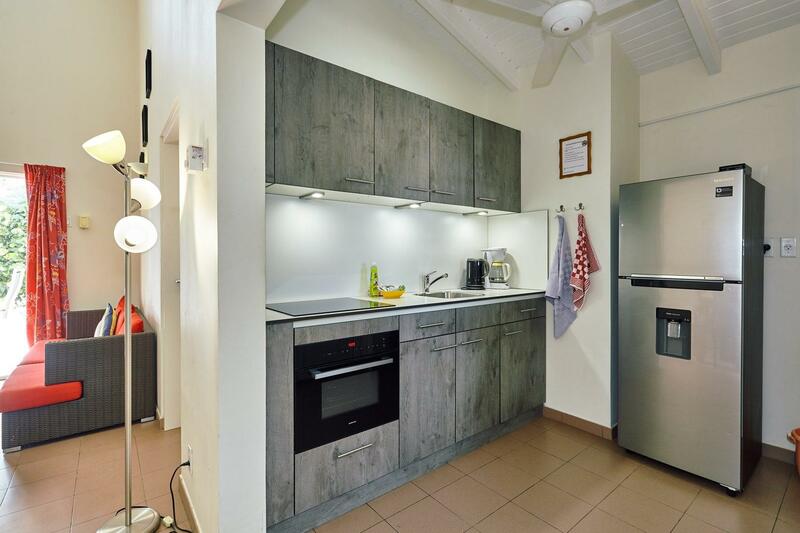 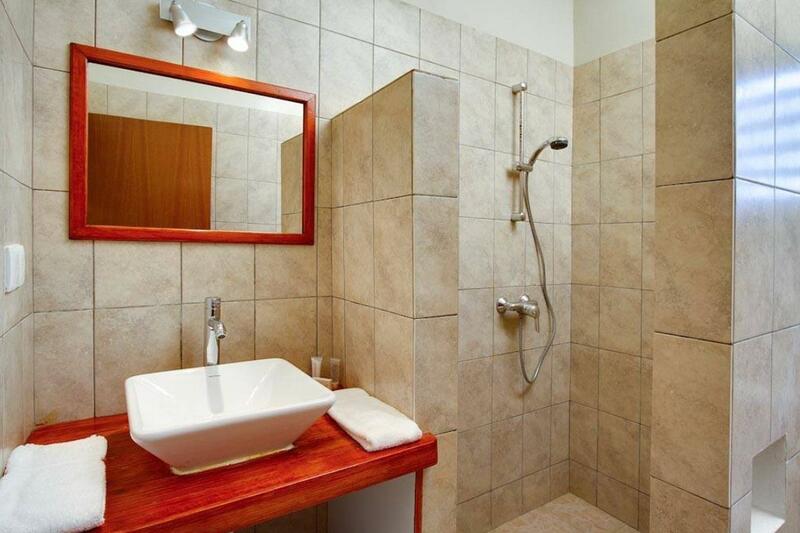 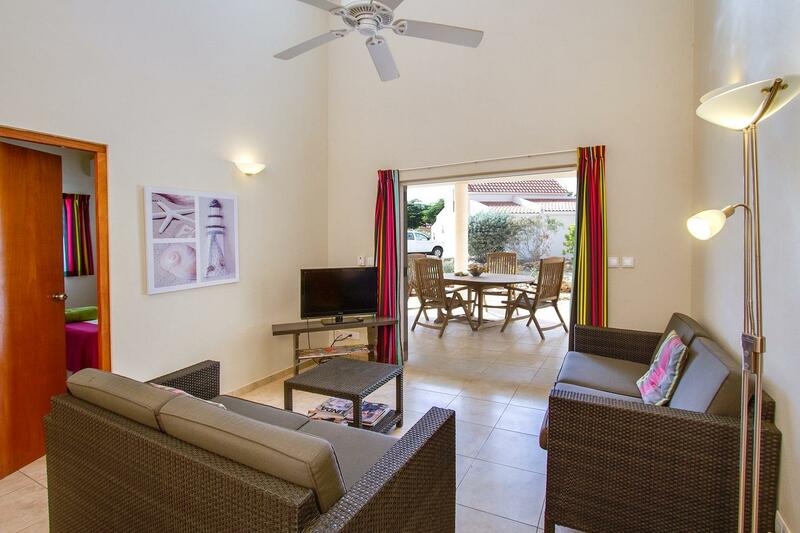 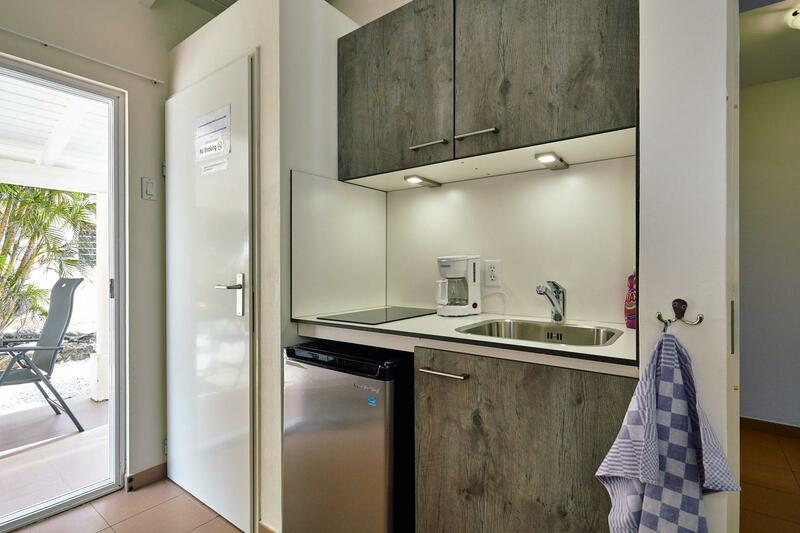 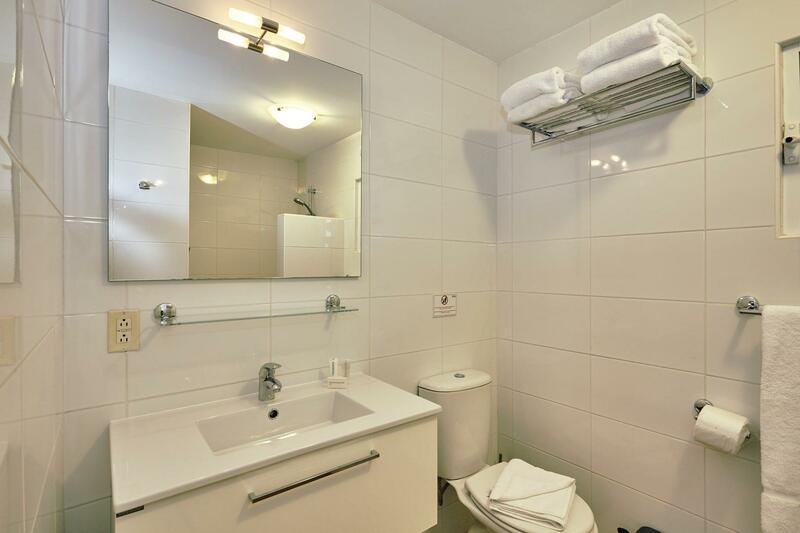 Choose from a studio or one- or two-bedroom apartment, all with a terrace and outdoor seating area. 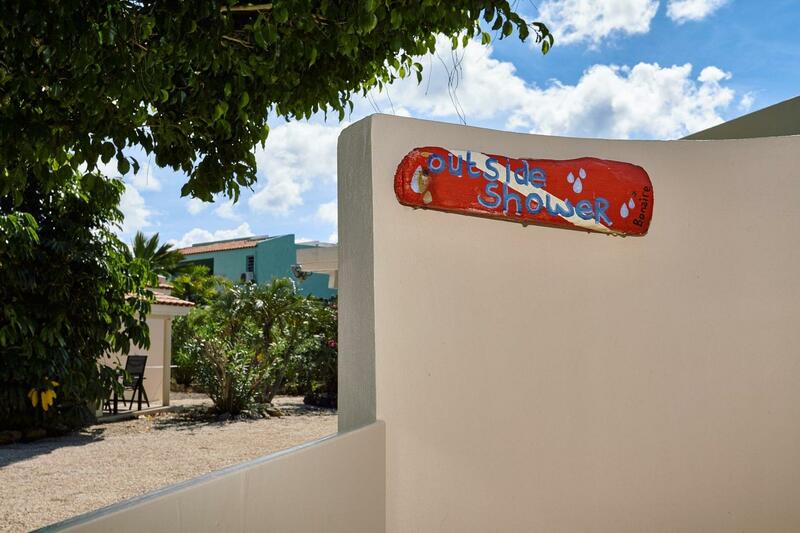 Each spacious cottage offers queen-sized beds, air-conditioned bedrooms, an outdoor shower, hot water bathroom with indoor shower and fully-equipped kitchenette. 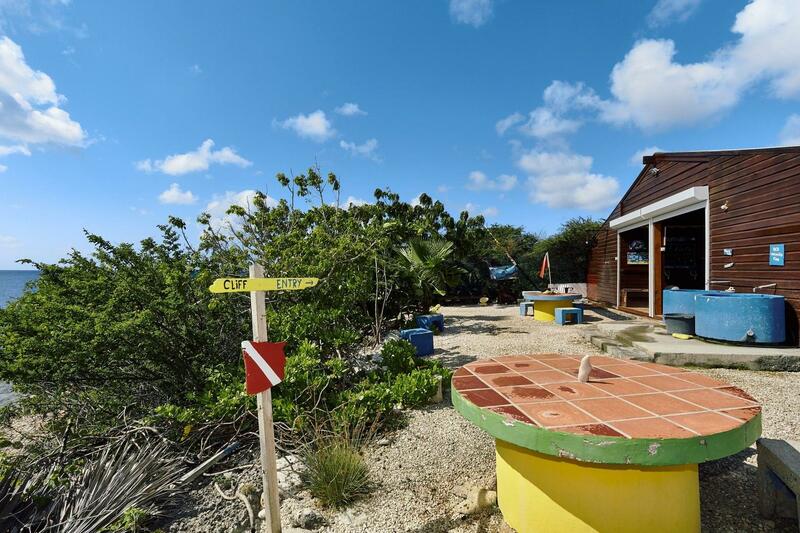 Activities include snorkelling, boat rental, water-skiing, parasailing, kayaking through mangroves and more. 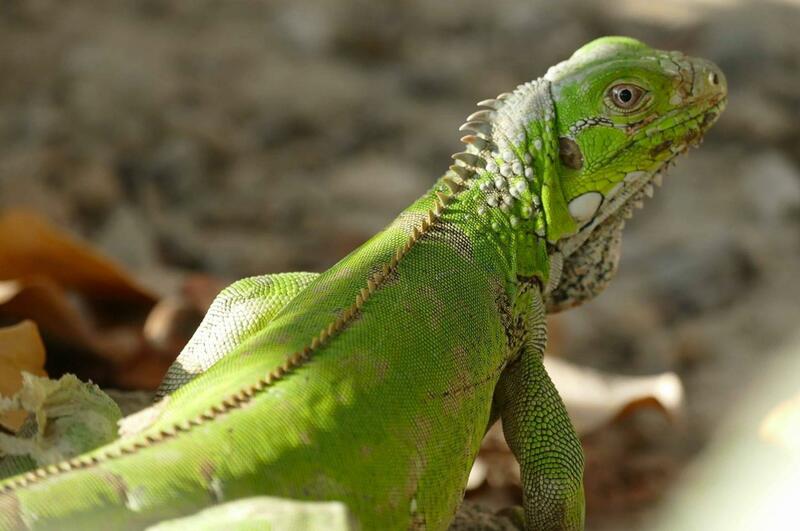 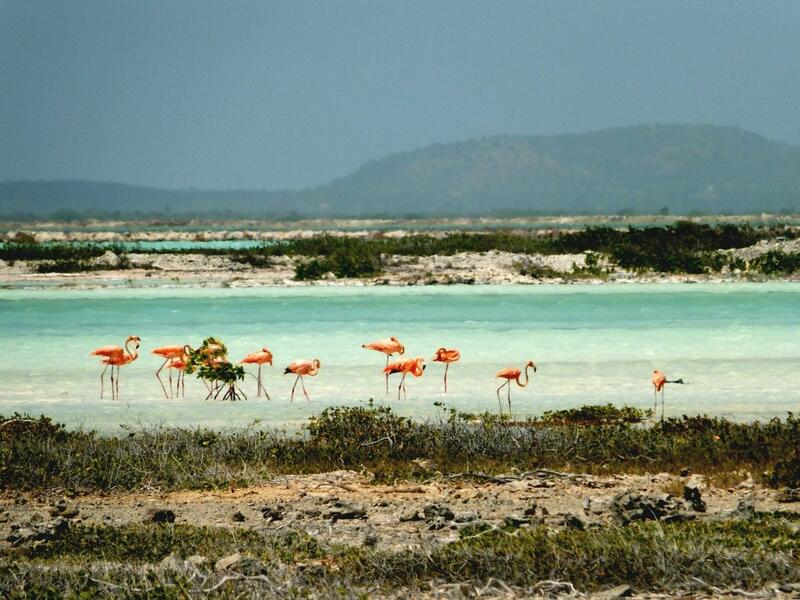 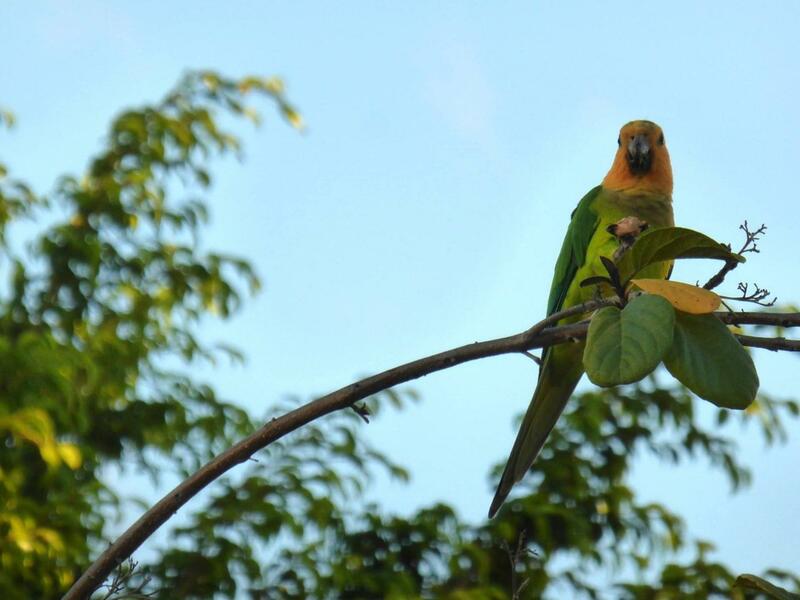 The National Park Washington Slangbaai is nearby, where you can glimpse flamingos, iguanas and other unique flora and fauna. 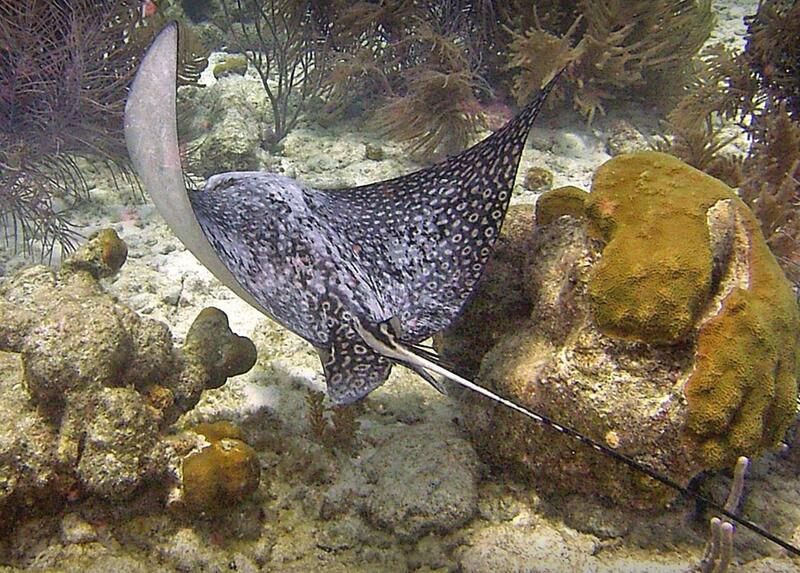 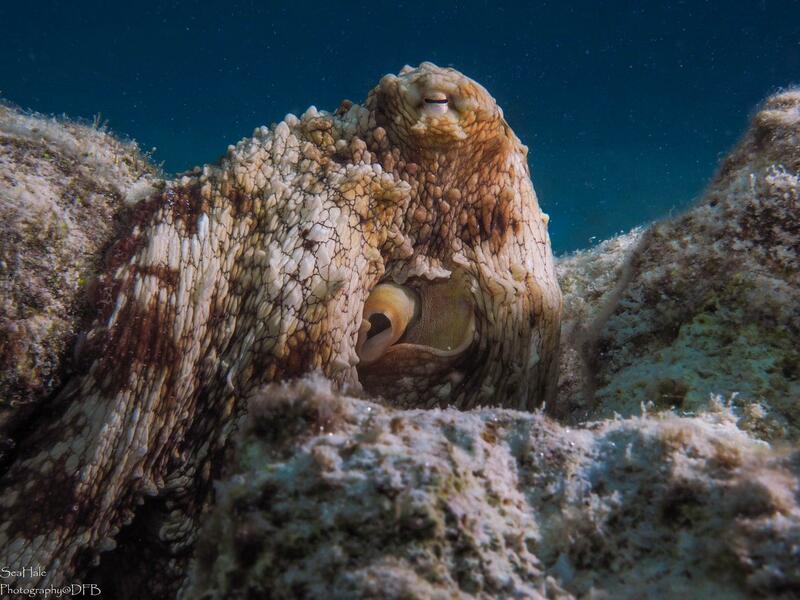 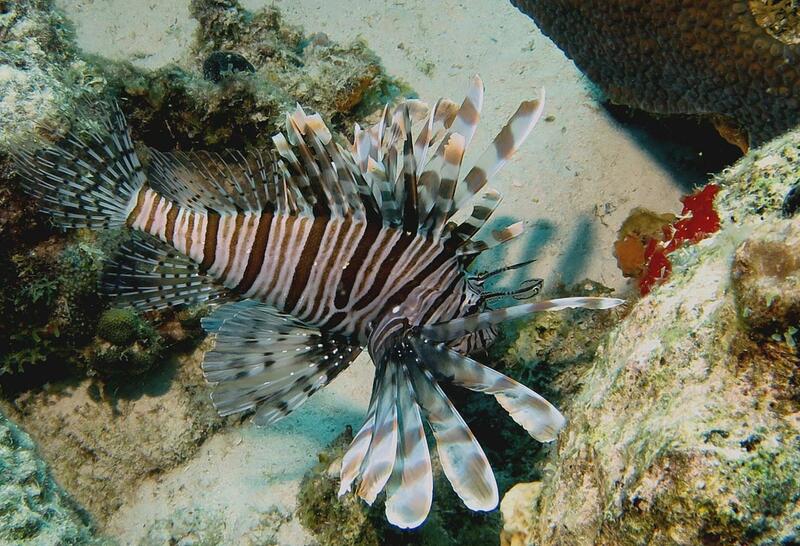 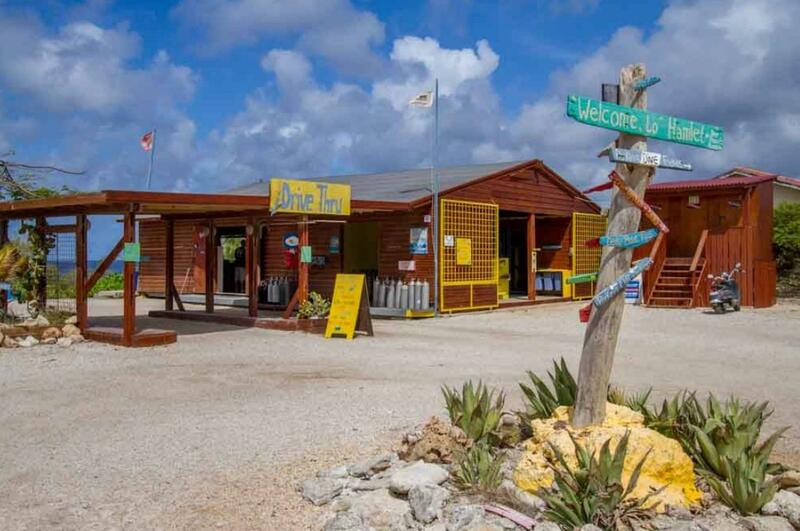 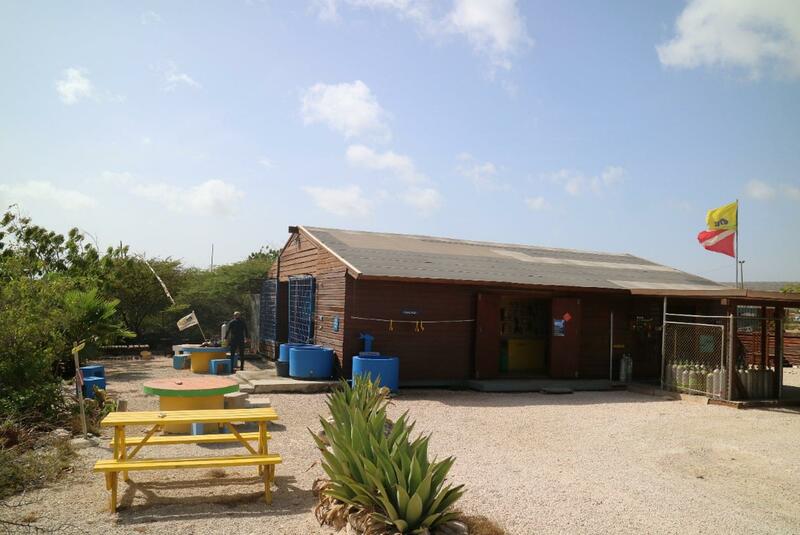 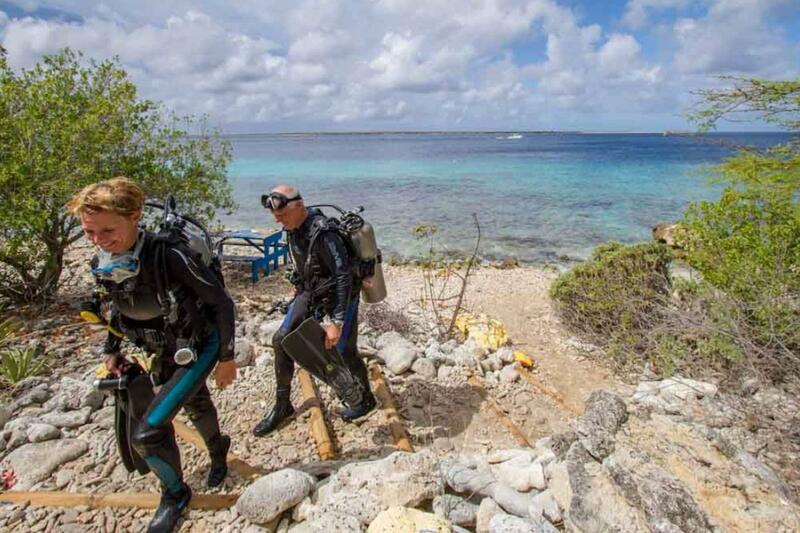 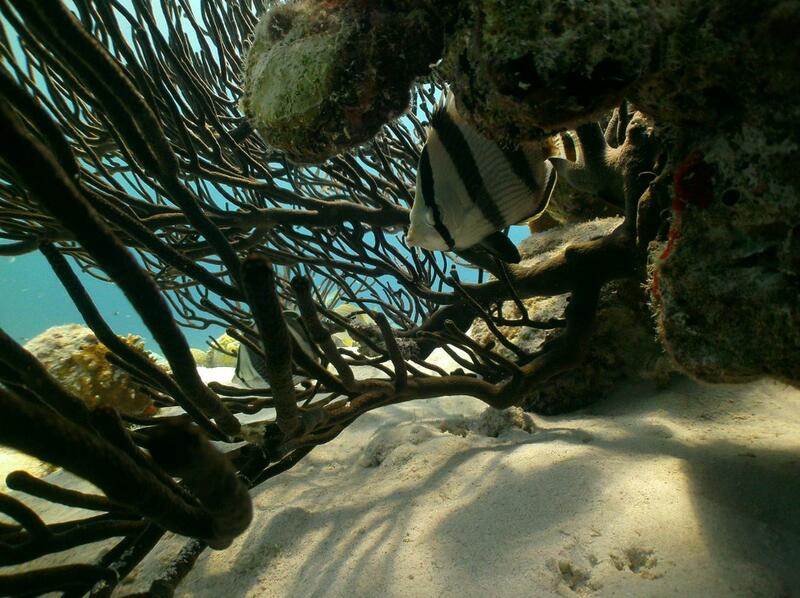 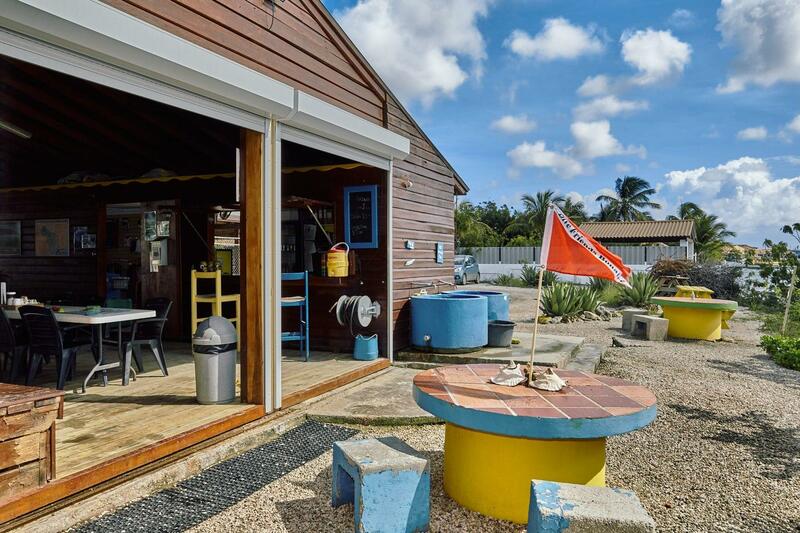 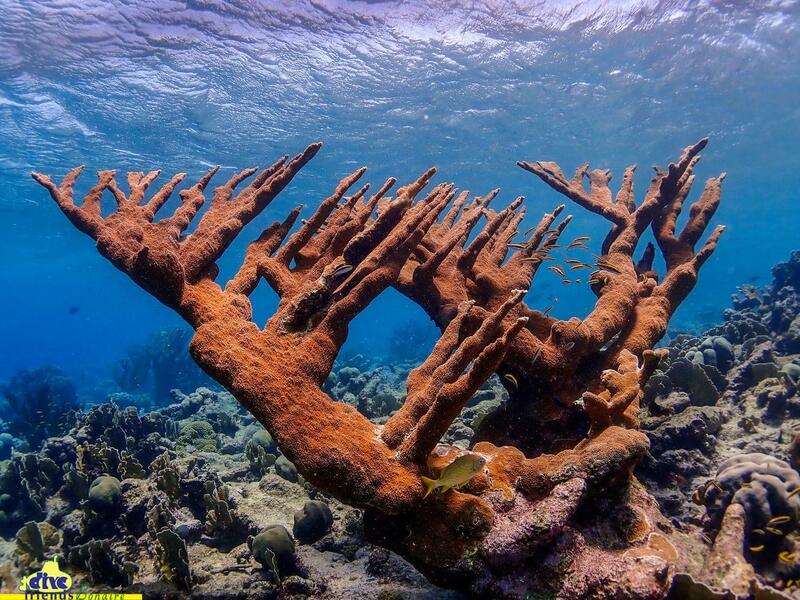 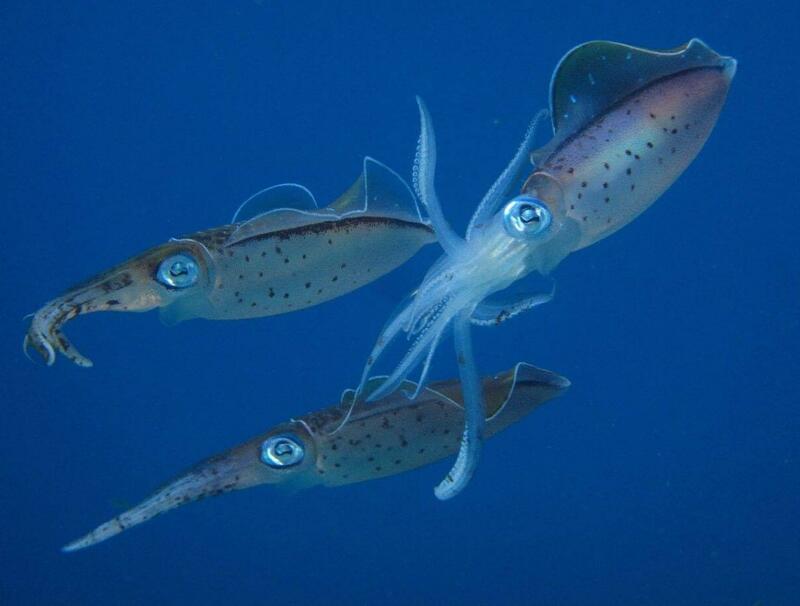 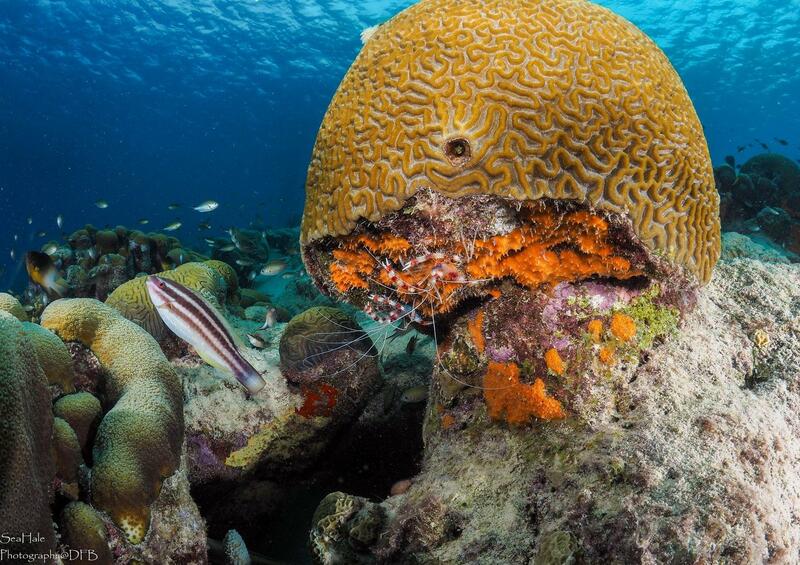 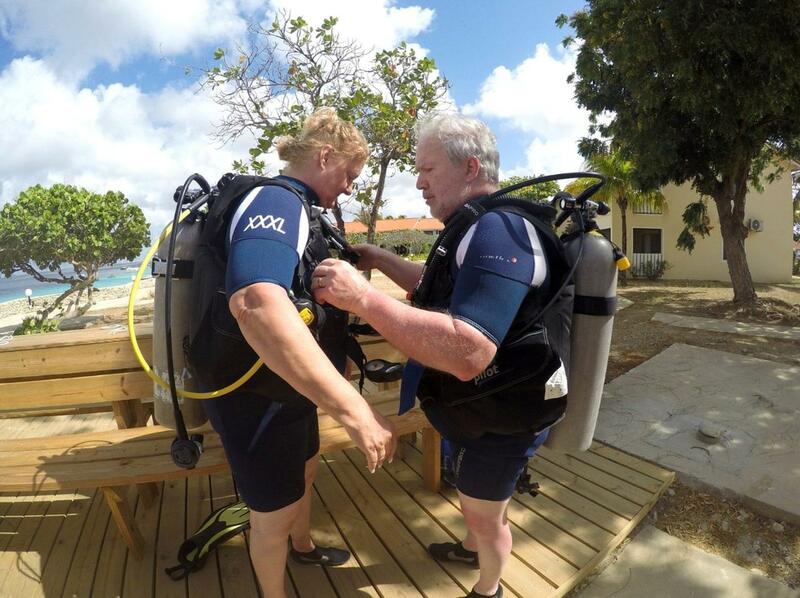 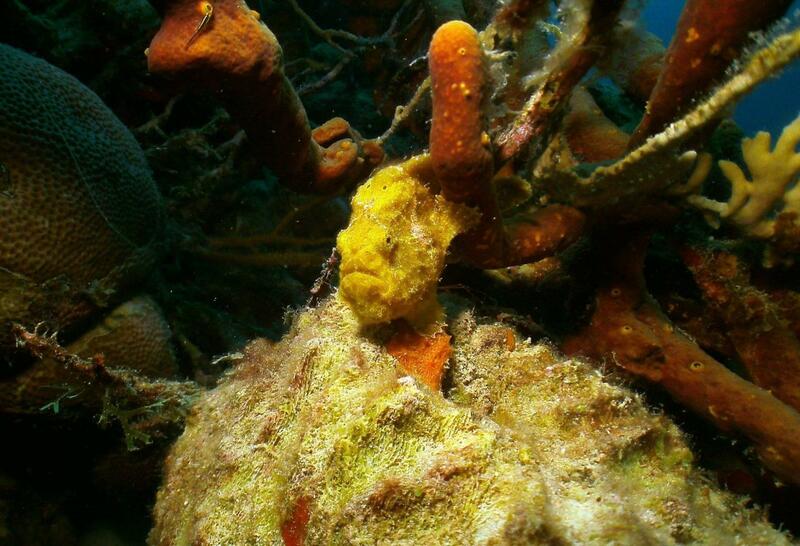 Dive Friends Bonaire @ Hamlet Oasis is a waterfront PADI 5* IDC Dive Center. 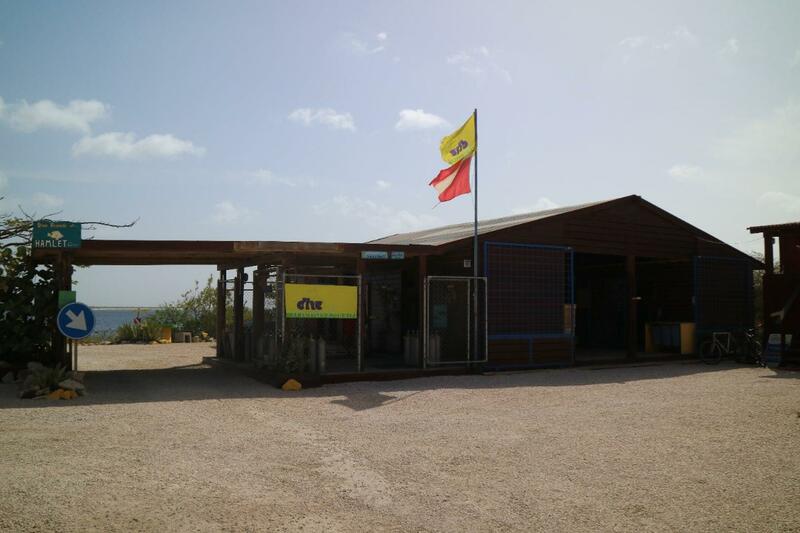 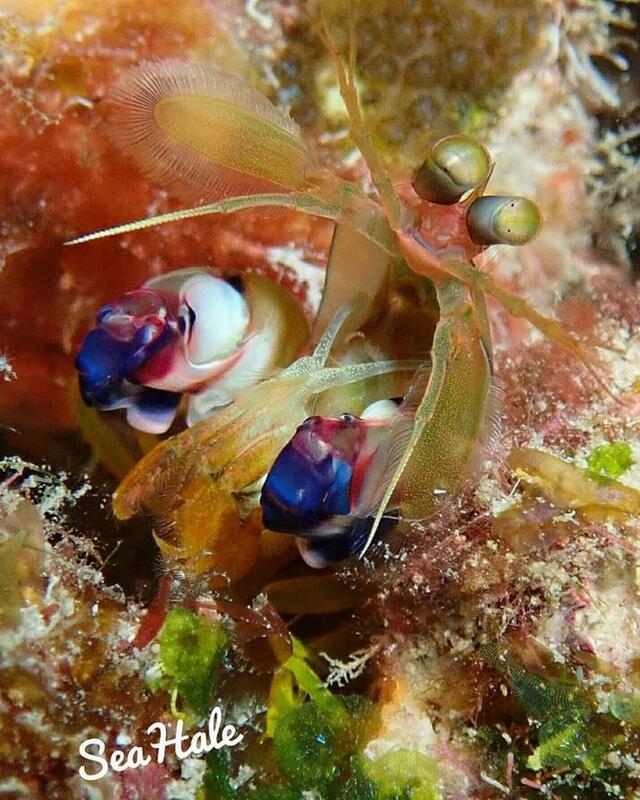 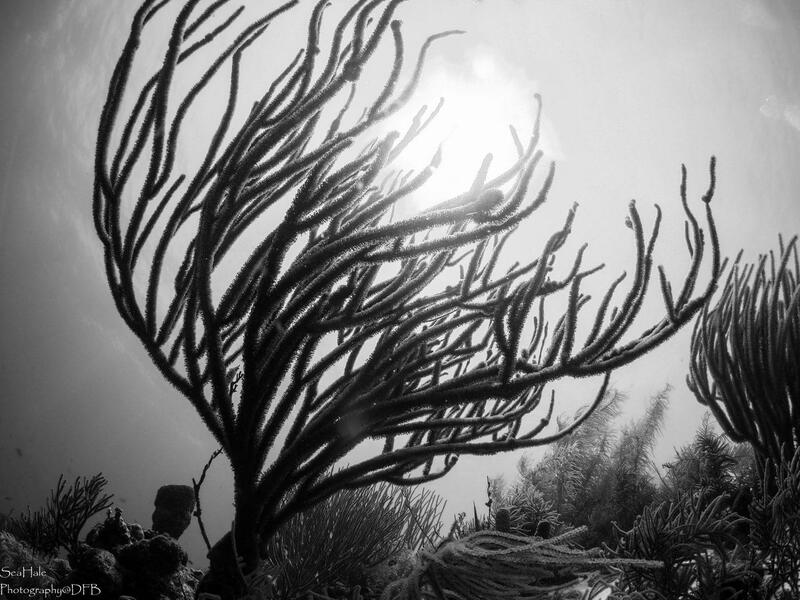 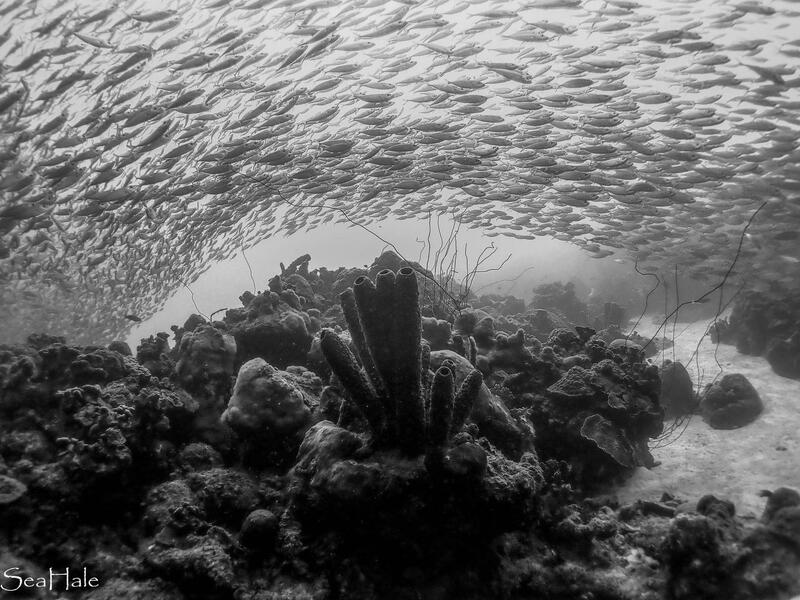 As one of the 5 award winning Dive Friends Bonaire dive centers on the island, you can rely the team's wealth of local knowledge. 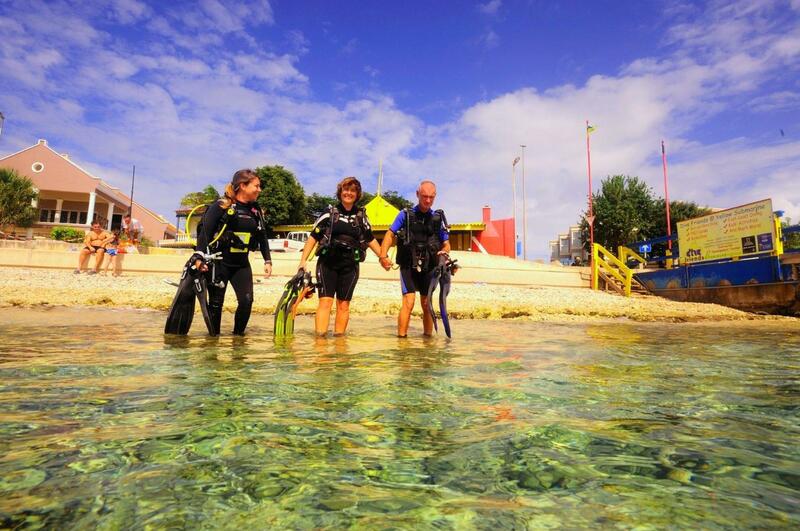 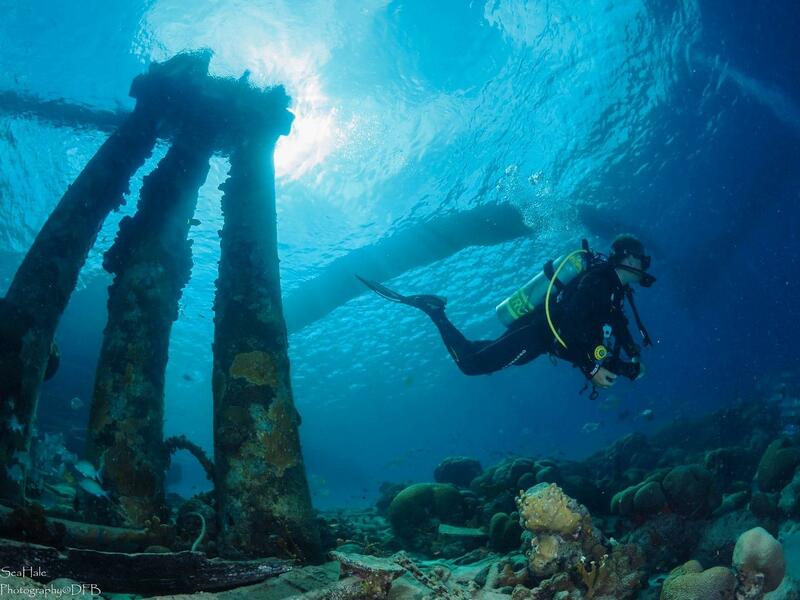 PADI courses from Discover Scuba through Open Water and Pro-level training is offered. 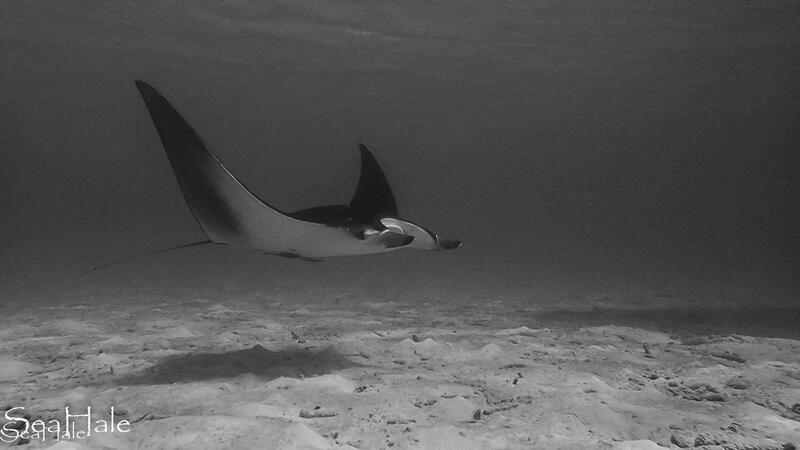 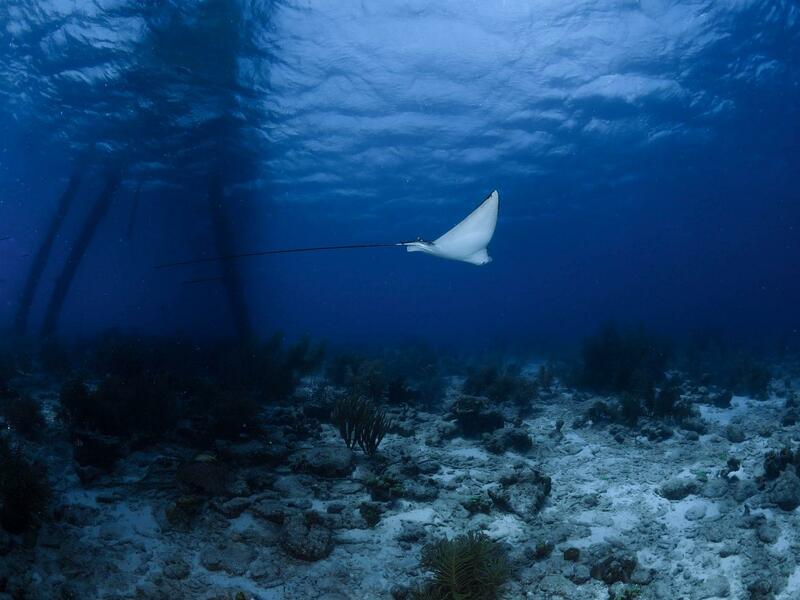 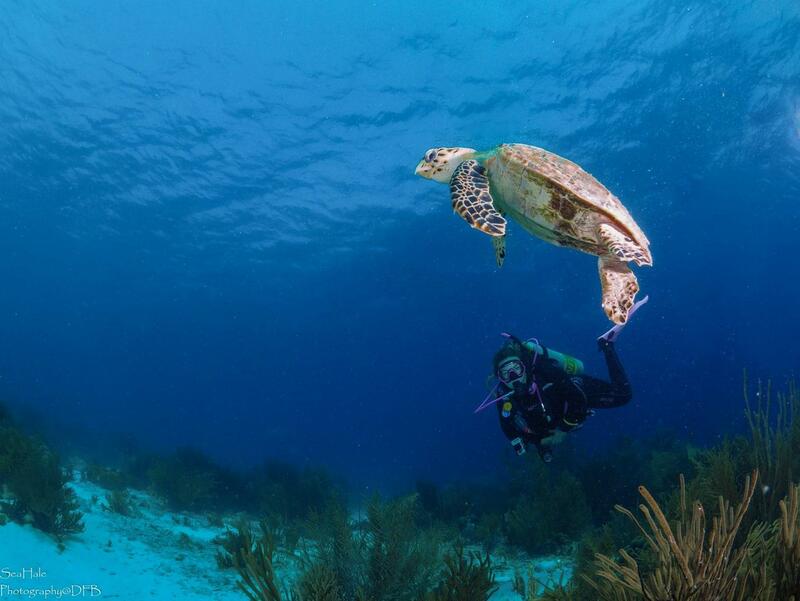 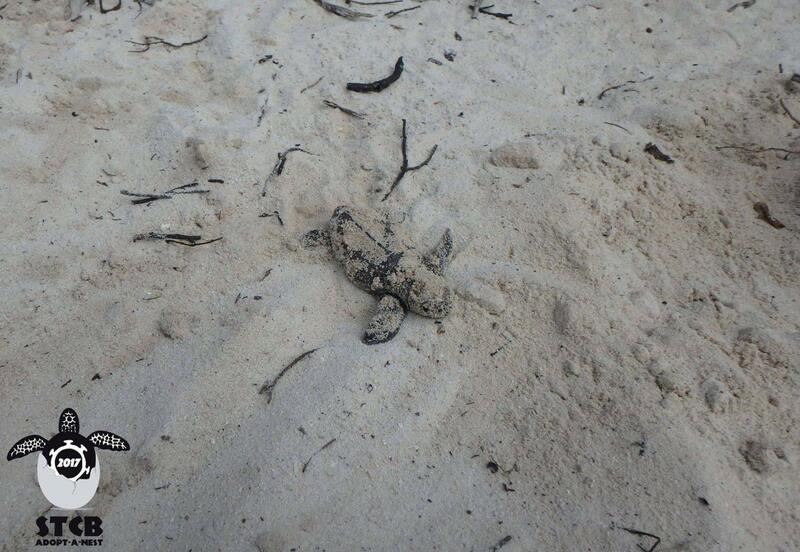 Specialties include Self-Reliant Diver, Night Diver, Sea Turtle Awareness Distinctive Specialty and more. 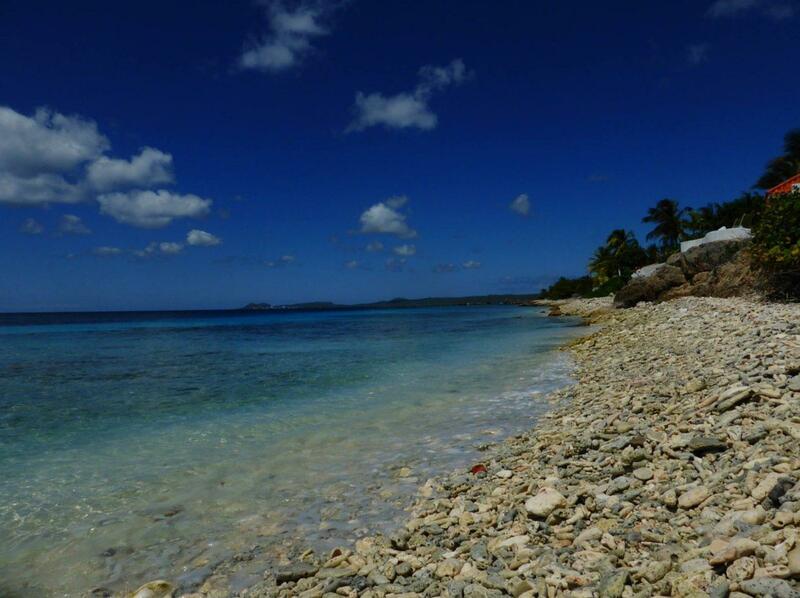 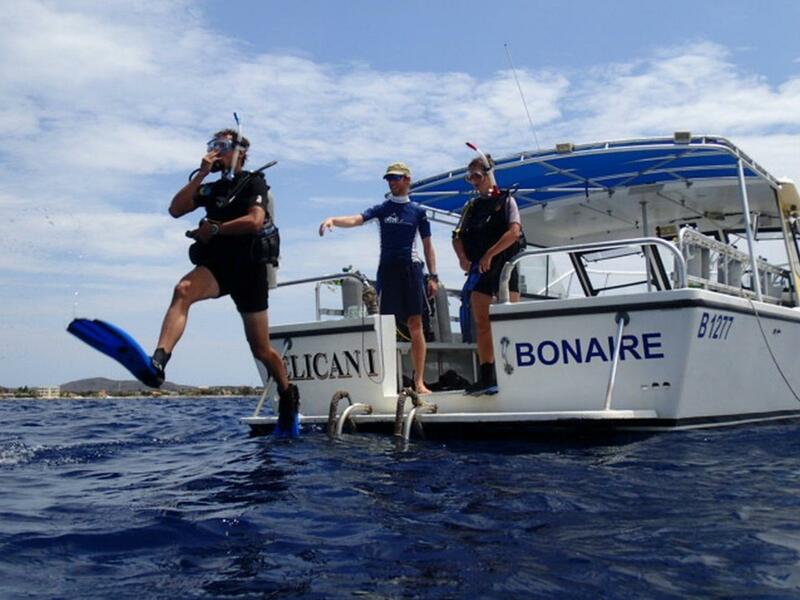 Daily shore and boat diving is available with an experienced guide or as a buddy team. 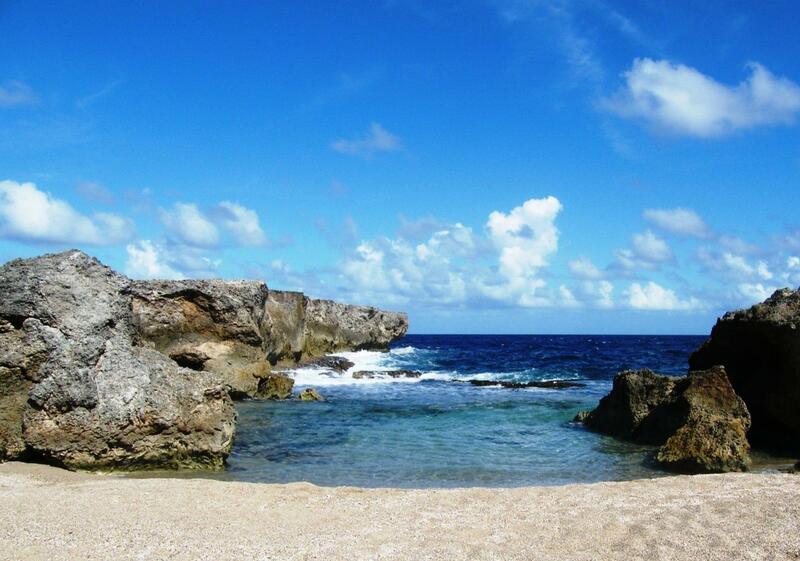 Cliff dive site can be reached from the shore outside the dive shop, and is one of Bonaire's only wall dives. 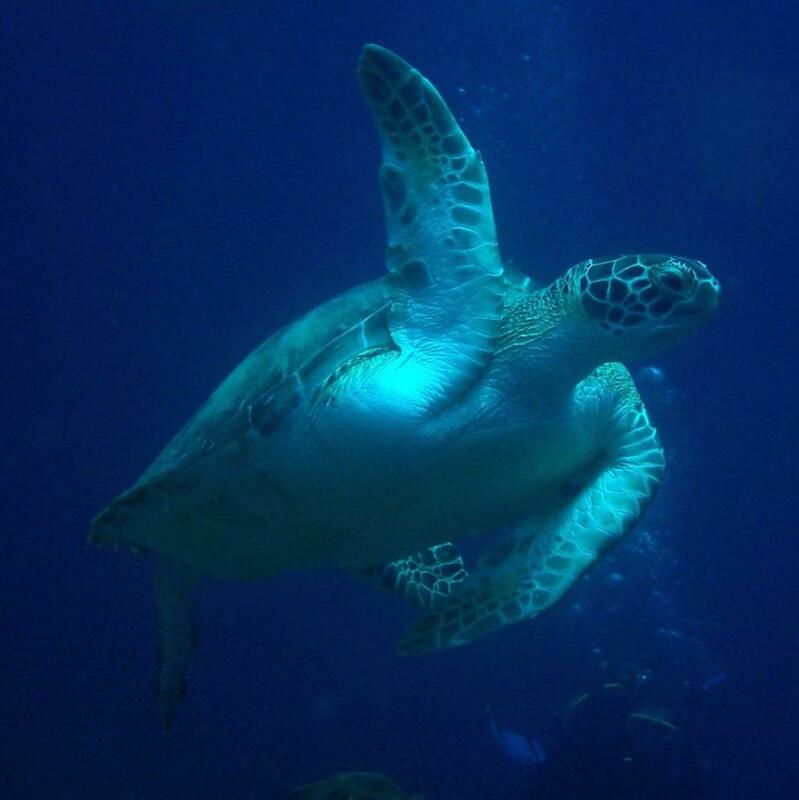 UV night diving is not one to miss! 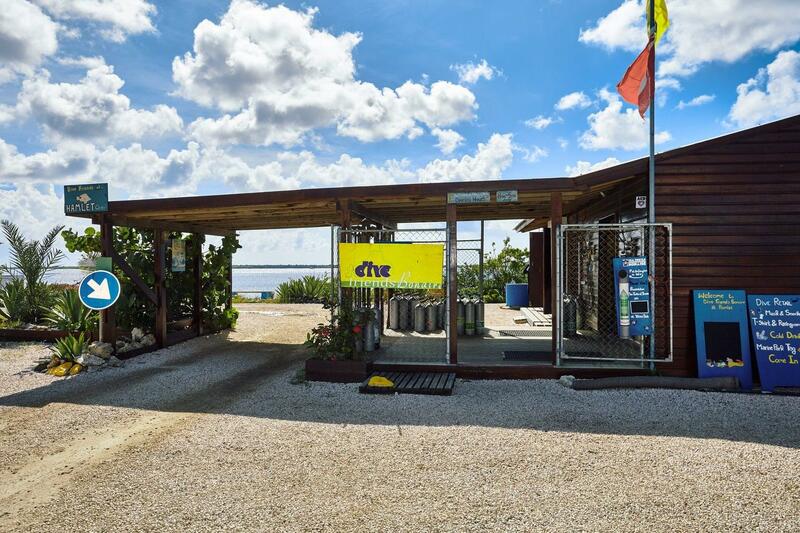 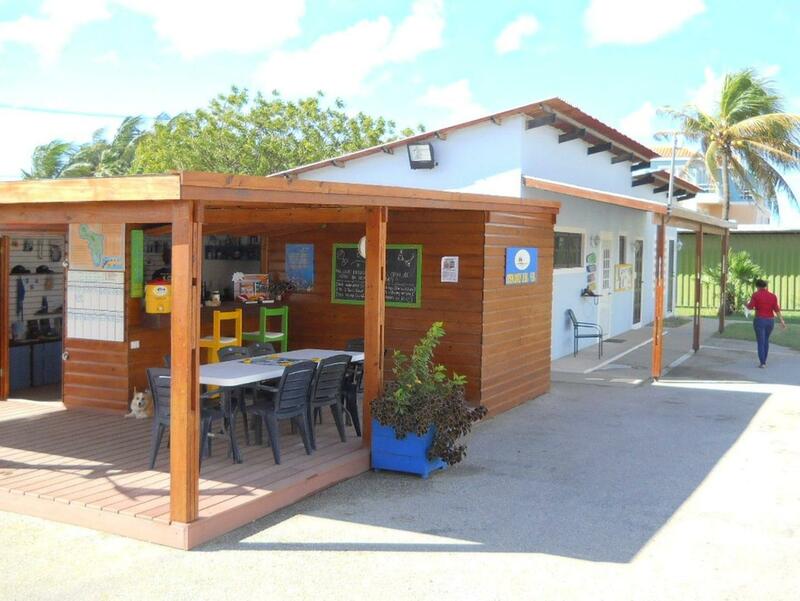 Facilities include gear rental, storage, rinse tanks, a dive accessory and souvenir shop, classrooms, shaded relaxation area and fish ID library. 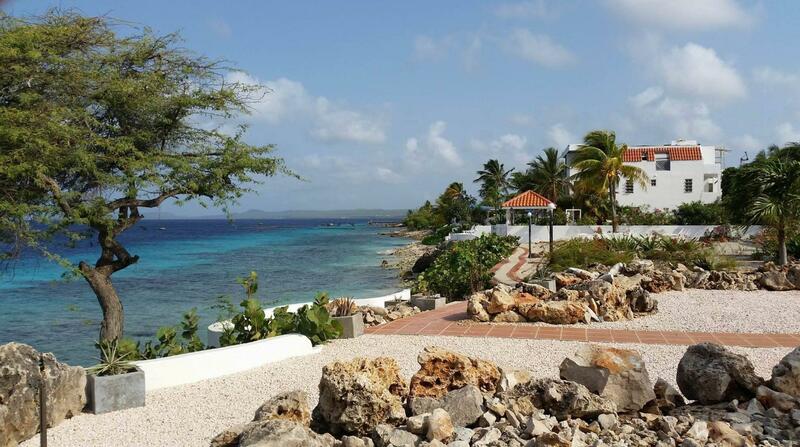 Taxis can be taken to the airport from the resort or transfers can be arranged in advance at the resort.